Cho, S., Goldberg, M., Son, S., Xu, Q., Yang, F., Mei, Y., Bogatyrev, S., Langer, R. and Anderson, D., Lipid-like nanoparticles for small interfering RNA delivery to endothelial cells, Advanced Functional Materials, 19: 3112-3118, 2010 PMCID: N/A. Yang, F., Cho, S., Son, S., Bogatyrev, S., Singh, D., Green, J., Mei, Y., Park, S., Bhang, S., Kim, B., Langer, R., and Anderson, D., Genetic engineering of human stem cells for enhanced angiogenesis using biodegradable polymeric nanoparticles, Proceedings of the National Academy of Sciences, 107: 3317-3322, 2010. PMID: 19805054, PMCID: PMC2840438. Hook, A., Williams, P., Anderson, D. and Langer, R. High throughput methods applied in biomaterial development and discovery, Biomaterials, 31: 187-198, 2010, PMID: 19815273, PMCID: Exempt from PMC—Non-NIH/PHS Funding. Kolishetti, N., Shar, S., Valencia, P., Lin, L., Karnik, R., Lippard, S., Langer, R. and Farokhzad, O., Engineering of self-assembled nanoparticle platform for precisely controlled combination drug therapy, Proceedings of the National Academy of Sciences, 107: 17939-17944, 2010. Hudson, S., Langer, R., Fink, G. and Kohane, D., Injectable in situ cross linking hydrogels for local antifungal therapy, Biomaterials, 31: 1444-1452, 2010, PMID: 19942285, PMCID: PMC2813953. Love, K., Mahon, K., Levins, C., Whitehead, K., Querbes, W., Dorkin, J., Qin, J., Cantley, W., Qin, L., Racie, T., Frank-Kamenetsky, M., Yip, K., Alvarez, R., Sah, D., de Fougerolles, A., Fitzgerald, K., Koteliansky, V., Akinc, A., Langer, R. and Anderson, D., Lipid-like materials for low dose, in vivo gene silencing, Proceedings of the National Academy of Sciences, 107: 1864-1869, 2010, PMID: 20080679, PMCID: PMC2804742. Gerecht, S., Ferreira, L.S., Langer, R., Vascular differentiation of human embryonic stem cells in bioactive hydrogel-based scaffolds, Methods in Molecular Biology, 584: 333-354, 2010, PMID: 19907986, PMCID: Exempt from PMC—Non-NIH/PHS Funding. Cao, Y, and Langer, R., Optimizing the delivery of cancer drugs that block angiogenesis, Science Translational Medicine, 2: 15ps3, 2010, PMCID: Exempt from PMC—Review. Chan, J., Zhang, L., Tong, R., Ghosh, D., Gao, W., Liao, G., Yuet, K., Gray, D., Rhee, J., Cheng, J., Golomb, G., Libby, P., Langer, R., and Farokhzad, O., Spatiotemporal controlled delivery of nanoparticles to injured vasculature, Proceedings of the National Academy of Sciences, 107: 2213-2218, 2010, PMID: 20133865, PMCID: PMC2836709. Zoldan, J., Kraehenbuehl, T., Lytton-Jean, A., Langer, R. and Anderson, D., Tissue engineering for stem cell mediated regenerative medicine, in Human Stem Cell Technology and Biology, 2010, 377-399, G. Stein, M. Borowski, M. Luong, M.J. Shao, K. Smith and P. Vasquez eds., Wiley-Blackwell, Hoboken, NJ, PMCID: Exempt from PMC—Book Chapter. Park, H., Karajanagi, S., Wolak, K., Aanestad, J., Deheron, L., Kobler, J., Lopez-Guerra, G., Heaton, J., Langer, R. and Zeitels, S., 3D hydrogel model using adipose-derived stem cells for vocal fold augmentation, Tissue Engineering Part A, 16: 535-543, 2010, PMID: 19728785, PMCID: PMC Journal—In Process. Burgess, P., Hutt, P., Farokhzad, O., Langer, R., Minick, S. and Zale, S., On firm ground: IP protection of therapeutic nanoparticles, Nature Biotechnology, 28: 1267-1270, 2010. PMID: 21139609, PMCID: PMC Exempt—Non-NIH/PHS Funding. Schroeder, A., Levins, C., Cortez, C., Langer, R., and Anderson, D., Lipid-based nanotherapeutics for siRNA delivery, Journal of Internal Medicine, 267: 9-21, 2010, PMID: 20059641, PMCID: N/A. Dvir, T., Banghart, M., Timko, B., Langer, R., and Kohane, D., Photo-targeted nanoparticles, Nano Letters, 10: 250-254, 2010, PMID: 19904979, PMCID: PMC2806491. Hoare, T., Zurakowski, D., Langer, R., Kohane, D., Rheological blends for drug delivery. I. Characterization in vitro, Journal of Biomedical Materials Research Part A, 92A: 575-585, 2010, PMID: 19235215, PMCID: Exempt from PMC—Non-NIH/PHS Funding. Mamo, T., Moseman, E., Kolishetti, N., Salvador-Morales, C., Shi, J., Kuritzkes, D., Langer, R., von Andrian, U. and Farokhzad, O., Emerging nanotechnology approaches for HIV/AIDS treatment and prevention, Nanomedicine, 5: 269-285, 2010, PMID: 20148638, PMCID: PMC2861897. Seto, J., Polat, B., Lopez, R., Blankschtein, D. and Langer, R., Effects of ultrasound and sodium lauryl sulfate on the transdermal delivery of hydrophilic permeants: Comparative in vitro studies with full-thickness and split-thickness pig and human skin, Journal of Controlled Release, 145: 26-32, 2010. PMID: 20346994, PMCID: PMC2916660. Lahann, J. and Langer, R., Nanobiomaterials: The interface of nanotechnology and biomaterials, IQT Quarterly, 1: 11-15, 2010, PMCID: Exempt from PMC—Review. Pritchard, C., Woodard, E, Langer, R. and Reynolds, F., Establishing a model spinal cord injury in the African Green Monkey for the preclinical evaluation of biodegradable polymer scaffolds seeded with human neural stem cells, Journal of Neuroscience Methods, 188: 258-269, 2010; PMID: 20219534, PMCID: PMC Journal—In Process. Cheng, H., Kastrup, C., Ramanathan, R., Siegwart, D., Ma, M., Bogatyrev, S., Xu, Q., Whitehead, K., Langer, R. and Anderson, D., Nanoparticulate cellular patches for cell-mediated tumoritropic delivery, ACS Nano, 4: 625-631, 2010. PMID: 20121215, PMCID: PMC2836800. Mu, C., LaVan, D., Langer, R. and Zetter, Z., Self-assembled gold nanoparticle molecular probes for detecting protelytic activity in vivo, ACS Nano, 4: 1511-1520, 2010; PMID: 20146506, PMCID: PMC2847389. Park, H., Yip, M., Kost, J., Kobler, J., Langer, R. and Zeitels, S., Indirect low-intensity ultrasonic stimulation for tissue engineering, Journal of Tissue Engineering, advanced web publication doi:10.4061/2010/973530, 2010. PMID: 21350648, PMCID: PMC3039491. Pritchard, C., Arnér, K., Neal, R., Neeley, W., Bojo, P., Bachelder, E., Holz, J., Watson, N., Botchwey, E., Langer, R., Ghosh, F., The use of surface modified poly(glycerol-co-sebacic acid) in retinal transplantation, Biomaterials, 31: 2153-2162, 2010; PMID: 19962754, PMCID: PMC Journal—In Process. Shapiro, M., Westmeyer, G., Romero, P., Szablowski, J., Kuster, B., Shah, A., Otey, C., Langer, R., Arnold, F. and Jasanoff, A., Directed evolution of a MRI contrast agent for noninvasive imaging of dopamine, Nature Biotechnology, 28: 264-270, 2010. PMID: 20190737, PMCID: PMC Journal—In Process. Levenberg, S., Ferreira, L., Chen-Konak, L., Kraehenbuehl, T., and Langer, R., Isolation, differentiation and characterization of vascular cells derived from human embryonic stem cells, Nature Protocols, 5: 1115-1126, 2010, PMID: 20539287, PMCID: N/A. Kohane, D. and Langer, R., Biocompatibility and drug delivery systems, Chemical Science, 1: 441-446, 2010. Valencia, P., Basto, P., Zhang, L., Rhee, M., Langer, R. Farokhzad, O. and Karnik, R., Single-step assembly of homogenous lipid-polymeric and lipid-quantum dot nanoparticles enabled by microfluidic rapid mixing, ACS Nano, 4: 1671-1679, 2010, PMID: 20166699, PMCID: PMC2923464. Gao, W., Langer, R., Farokhzad, O., Poly(ethylene glycol) with observable shedding, Angewandte Chemie International Edition, 49: 6567-6571, 2010. PMID: 20677297, PMCID: PMC Journal—In Process. Guillemette, M.D., Park, H., Hsiao, J.C., Jain, S.R., Larson, B.L., Langer, R. and Freed, L.E., Combined technologies for microfabricating elastomeric cardiac tissue engineering scaffolds, Macromolecular Bioscience, 10: 1330-1337, 2010. PMID: 2071854, PMCID: N/A. Fisher, O., Khademhosseini, A., Langer, R. and Peppas, N., Bioinspired materials for controlling stem cell fate, Accounts of Chemical Research, 43: 419-128, 2010, PMID: 20043634, PMCID: PMC2840210. Mei, Y., Saha, K. Bogatyrev, S., Yang, J., Hook, A., Kalcioglu, Z., Cho, S., Mitalipova, M., Pyzocha, N., Rojas, F., Van Vliet, K., Davies, M., Alexander, M., Langer, R., Jaenisch, R. and Anderson, D., Combinatorial development of biomaterials for clonal growth of human pluripotent stem cells, Nature Materials, 9: 768-778, 2010. PMID: 20386609, NIHMSID: NIHMS216987. Bratlie, K., Dang, T., Lyle, S., Nahrendorf, M., Weissleder, R., Langer, R., and Anderson, D., Rapid biocompatibility analysis of materials via in vivo fluorescence imaging of inflammatory responses, Plos. One, 5: 1-8, 2010. PMID: 20386609, PMCID: PMC2850367. Shi, J., Votruba, A., Farokhzad, O. and Langer, R., Nanotechnology in drug delivery and tissue engineering: From discovery to applications, Nano Letters, 10: 3223–3230, 2010. PMID: 20726522, PMCID: PMC2935937. Tekin, H., Anaya, M., Brigham, M. Nauman, C., Langer, R. and Khademhosseini, A., Stimuli-responsive microwells for formation and retrieval of cell aggregates, Lap on a Chip, 10: 2411-2418, 2010. PMID: 20664846, PMCID: PMC Journal—In Process. Luo, Y., Kobler, J., Heaton, J., Jia, X., Zeitels, S., Langer, R., Injectable hyaluronic acid-dextran hydrogels and effects of implantation in ferret vocal fold, Journal of Biomedical Materials Research Part B, 93B: 386-393, 2010, PMID: 20151459, PMCID: N/A. Pritchard, C., Arner, K., Langer, R. and Ghosh, R., Retinal transplantation using surface modified poly(glycerol-co-sebacic acid) membranes, Biomaterials, 31: 7978-7984, 2010. PMID: 20656341, PMCID: N/A. Yang, F., Cho, S., Son, S., Hudson, S., Bogatyrev, S., Keung, L., Langer, R. and Anderson, D., Combinatorial development of 3D extracellular matrices for human embryonic stem cell differentiation, Biomacromolecules, 11: 1909-1914, 2010. PMID: 20614932, PMCID: PMC2946176. Polat, B., Blankschtein, D. and Langer, R., Low-frequency sonophoresis: Application to the transdermal delivery of macromolecules and hydrophilic drugs, Expert Opinion on Drug Delivery, 7: 1415-1432, 2010. Davies, M., Alexander, M., Hook, A., Yang, J., Mei, Y., Taylor, M., Urquhart, A., Langer, R., and Anderson, D., High throughput surface characterization: A review of a new tool for screening prospective biomedical material arrays, Journal of Drug Targeting, 18: 741-751, 2010. PMID: 20945971, PMCID: PMC Exempt—Review. Polat, B., Figueroa, P., Blankschtein, D. and Langer, R., Transport pathways and enhancement mechanisms within localized and non-localized transport regions in skin treated with low-frequency sonophoresis and sodium lauryl sulfate, Journal of Pharmaceutical Sciences, 100: 512-529, 2010. PMID: 20740667, PMCID: PMC3032395. Maloney, J., Nikova, D., Latuenschlaeger, F., Clarke, E., Langer, R., Guck, J., Van Vliet, K., Mesenchymal stem cell mechanics from the attached to the suspended state, Biophysical Journal, 99: 2479-2487, 2010. PMID: 20959088, PMCID: PMC2955350. Abrahamsson, C., Yang, F., Brunger, J., Valonen, P., Langer, R., Welter, J., Caplan, A., Guilak, F. and Freed, L., Chondrogenesis and mineralization with long term in vitro culture of human mesenchymal stem cells on 3D woven scaffolds, Tissue Engineering, 16: 3709-3718, 2010. Huang, Y., Cozzitorto, J., Eltoukhy, A., Langer, R., Anderson, D., Brody, J. and Sawicki, J., CanScript, an 18-base pair DNA sequence, boosts tumor cell-specific promoter activity, Cancer Biology and Therapy, 10: 882-888, 2010. Wang, A. Yuet, K., Zhang, L., Gu, F., Huynh-Le, M., Radovic-Moreno, A., Kantoff, P., Bander, N., Langer, R. and Farokhzad, O., ChemoRad nanoparticles: A novel multifunctional nanoparticle platform for targeted delivery of concurrent chemoradiation, Nanomedicine, 5: 361-368, 2010. Yang, J., Mei, Y., Hook, A., Taylor, A., Bogatyrev, S., Langer, R., Anderson, D., Davies, M. and Alexander, M., Polymer surface functionalities that control human embryoid body cell adhesion revealed by high throughput surface characterization of combinatorial material microarrays, Biomaterials, 31: 8827-8838, 2010. DeSousa, F., Guerreiro, J., Ma., M., Anderson, D., Drum., C., Sinisterra, R., and Langer, R., Photo-response behavior of electrospun nanofibers based on spiropyran-cyclodextrin modified polymer, Journal of Materials Chemistry, 20: 9910-9917, 2010. Mei, Y., Hollister-Lock, J. Bogatyrev, S., Cho, S., Weir, G., Langer, R., and Anderson, D., A high throughput micro-array system of polymer surfaces for the manipulation of primary pancreatic islet cells, Biomaterials, 31: 8989-8995, 2010. Green, J., Langer, R., and Anderson, D., Combinatorial polymer and lipidoid libraries for nanomedicine, in Hanbook of Materials for Nanomedicine, 1, 291-312, 2010, Pan Stanford Publishing, Chicago, Il..
Bruggeman, J., Bettinger, C. and Langer, R., Biodegradable xylitol-based elastomers: In vivo behavior and biocompatibility, Journal of Biomedical Materials Research, 95A: 92-104, 2010. Mahon, K., Love, K., Whitehead, K., Qin,, J., Akinc, A., Leshchiner, E., Leshchiner, I., Langer, R. and Anderson, D., A combinatorial approach to determine functional group effects on lipidoid-mediated siRNA delivery, Bioconjuagte Chemistry, 21: 1448-1454, 2010. Seto, J., Polat, B., Langer, R., and Blankschein, D., Application of the aqueous porous pathway model to quantify the effect of sodium lauryl sulfate on ultrasound-induced skin structural perturbation, Journal of Pharmaceutical Sciences, Epub ahead of print, 2010. PMID: 20963845, NIHMSID: NIHMS261783. Green, J., Zugates, G., Langer, R. and Anderson D., Poly(b-amino esters): Procedures for synthesis and gene delivery, Methods in Molecular Biology, 480: 53-63, 2009, PMID: 19085119, PMCID: Exempt from PMC—Non-NIH/PHS Funding. Farokhzad, O. and Langer, R., Impact of Nanotechnology on drug delivery, ACS Nano, 3: 16-20, 2009, PMID: 19206243, PMCID: Exempt from PMC—Non-NIH/PHS Funding. Whitehead, K., Langer, R. and Anderson, D., Knocking down barriers: Advances in siRNA delivery, Nature Reviews: Drug Discovery, 8: 129-138, 2009, PMID: 19180106, PMCID: Exempt from PMC—Non-NIH/PHS Funding. Xu, Q., Hashimoto, M., Dnag, T., Hoare, T., Kohane, D., Whitesides, G. Langer,R., and Anderson, G., Preparation of monodisperse biodegradable polymer microparticles using a microfluidic flow-focusing device for controlled drug delivery, Small, 5: 1575-1581, 2009, PMID: 19296563, PMCID: PMC2789598. Khademhosseini, J., Vacanti, J. and Langer, R., Progress in tissue engineering, Scientific American, 300: 64-71, 2009, PMCID: Exempt from PMC—Magazine Article. Nguyen, D., Green, J., Chan., J., Anderson, D. and Langer, R., Polymeric materials for gene delivery and DNA vaccination, Advanced Materials, 21: 847-867, 2009, PMCID: Exempt from PMC—Review. Taylor, M., Urquhart, A., Anderson, D., Langer, R., Davies, M. and Alexander, M., Partial least squares regression as a powerful tool for investigating large combinatorial polymer libraries, Surface and Interface Analysis (Spec. Iss. ), 41: 127-135, 2009, PMCID: N/A. Langer, R., Perspectives and challenges in tissue engineering and regenerative medicine, Advanced Materials, 21: 3235-3236, 2009, PMCID: Exempt from PMC—Editorial. Khademhosseini, A., Rajalingam, B., Jinno, S. and Langer, R. Nanoengineered systems for tissue engineering and regeneration, in Nanotechnology, 2009, 361-384. Ed., Vogel, V., Wiley-Vch Verlag GmbH and Co., KGaA, Weinheim, Germany, PMCID: Exempt from PMC—Book Chapter. Huang, Y.H., Bao, Y., Peng, W., Goldberg, M., Love, K., Bumcrot, D., Cole, G., Langer, R., Anderson, R. and Sawicki, J., Claudin-3 gene silencing with small interfering RNA suppresses ovarian tumor growth and metastasis, Proceedings of the National Academy of Sciences, 106: 3426-3430, 2009, PMID: 19208807, PMCID: PMC2651300. Chang, J., Zhang, F., Yuet, K., Liao, G., Rhee, J., Langer, R. and Farokzhad, O., PLGA-lecithin-PEG core-shell nanoparticles for controlled drug delivery, Biomaterials, 30: 1627-1634, 2009, PMID: 19111339, NIHMSID: NIHMS92982. Salavador-Morales, C., Zhang, F., Langer, R. and Farokzhad, O., Immunocompatibilty properties of lipid-polymer hybrid nanoparticles with heterogeneous surface functional groups, Biomaterials, 30: 2231-2240, 2009, PMID: 19167749, PMCID: PMC2699891. Gu, F., Langer, R. and Farokhzad, O., Formulation/Preparation of functionalized nanoparticles for in vivo targeted drug delivery, Methods in Molecular Biology, 544: 589-598, 2009, PMID: 19488725, PMCID: Exempt from PMC—Book Chapter. Lu, J., Langer, R. and Chen, J., A novel mechanism is involved in cationic lipid-mediated functional siRNA delivery, Molecular Pharmaceutics, 6: 763-771, 2009, PMID: 19292453, PMCID: PMC2688906. Daniel, K., Duc, H.L.H, Cima, M., and Langer,R., Controlled release microchips, in Chronopharmaceutics: Science and technology for biological rhythm guided therapy and prevention of diseases, 2009, 187-215, Bi-Botti C. Youan, eds., John Wiley and Sons, Hoboken, NJ, PMCID: Exempt from PMC—Book Chapter. Pridgen, E., Alexis, F., Farokhzad, O. and Langer, R., Biodegradable, targeted polymeric nanoparticle drug delivery formulation for cancer therapy, in Methods of Bioengineering: Nanoscale bioengineering and nanomedicine, 2009, 197-235, Rege, K. and Medintz, I., eds., Artech House, Boston, PMCID: Exempt from PMC—Book Chapter. Akinc, A., Goldberg, M., Qin, J., Dorkin, R., Gamba-Vitalo, C., Maier, M., Jayaprakash, K., Jayaraman, M., Rajeev, K., Manoharan, M., Kotelianski, V., Rohl, I., Leshchiner, E., Langer, R. and Anderson, D., Development of lipioid-siRNA formulations for systemic delivery to the liver, Molecular Therapy, 17: 872-879, 2009, PMID: 19259093, PMCID: PMC2653762. Guerrini, M., Zhang, Z., Shriver, Z., Naggi, A., Masuko, S., Langer, R., Casu, B., Lindhardt, R., Torri, G. and Sasisekharan, R., Orthogonal analytical approaches to detect potential contaminants in heparin, Proceedings of the National Academy of Sciences, 106: 16956-16961, 2009, PMID: 19805108, PMCID: PMC2749844. George, P., Saigal, R., Lawlor, M., Moore, M., LaVan, D., Marini, R., Selig, M., Makhni, M., Burdick, J., Langer, R. and Kohane, D., Three-dimensional conductive constructs for nerve regeneration, Journal of Biomedical Materials Research, 91: 519-527, 2009, PMID: 18985787, PMCID: N/A. Bettinger, C., Bruggeman, J., Borenstein, J and Langer, R., In vitro and in vivo degradation of poly (1,3-diamino-2-hydroxypropane-co-polyol sebacate) elastomers, Journal of Biomedical Materials Research, 91: 1077-1088, 2009, PMID: 19107786, PMCID: Exempt from PMC—Non-NIH/PHS Funding. Bettinger, C., Kulig, K., Vacanti, J., Borenstein, J. and Langer, R., Nanofabricated collagen-inspired synthetic elastomers for primary rat hepatocyte culture, Tissue Engineering, 15: 1321-1329, 2009, PMID: 18847357, PMCID: PMC2789736. Dang, T., Xu, Q., Bratlie, K., O’Sullivan, E., Chen, X., Langer, R. and Anderson, D., Microfabrication of homogenous, asymmetric cell-laden hydrogel capsules, Biomaterial, 30: 6896-6902, 2009, PMID: 19800116, NIHMSID147749. Bettinger, C., Langer, R., Borenstein, J., Engineering substrate topography at the micro- and nanoscale to control cell funcation, Angewandte Chemie, 48: 5406-5415, 2009, PMID: 19492373, NIHMSID: NIHMS148783. Harris, T., Green, J., Fung, P., Langer, R., Anderson, D., Bhatia, S., Tissue-specific gene delivery via nanoparticle coating, Biomaterials, 30: 3926-3933, 2009, PMID: 19850333, PMCID: PMC2796451. Yang, F., Green, J., Dinio, T., Keung, L., Cho, S., Park, H., Langer, R. and Anderson, D., Gene delivery to human adult and embryonic cell-derived stem cells using biodegradable nanoparticulate polymeric vectors, Gene Therapy, 16: 533-546, 2009, PMID: 19129861, PMCID: PMC2688702. Bettinger, C., Bruggeman, J., Misra, A., Borenstein, J., and Langer, R., Biocompatibility of biodegrable semiconducting melanin films for nerve tissue engineering, Biomaterial, 30: 3050-3057, 2009, PMID: 19286252, PMCID: PMC Journal—In Process. Zhou, M., Liu, H., Kilduff, J., Langer, R., Anderson, D., and Belfort, G., High-throughput membrane surface modification to control NOM fouling, Environ. Sci. Technology, 43: 3865-3871, 2009, PMID: 19544900, PMCID: Exempt from PMC—Non-NIH/PHS Funding. Bhang, S., Cho, S., Lim., J., Kang, J., Lee, T., Yang, H., Song, Y., Park, M., Kim, H., Langer, R., Anderson, D. and Kim, B., Locally delivered growth factor enhances the angiogenic efficacy of adipose derived stromal cells transplanted to ischemic limbs, Stem Cells, 27: 1976-1986, 2009, PMID: 19544425, PMCID: PMC Journal—In Process. Lee, J., Green, J., Love, K., Sunshine, J., Langer, and Anderson, D., Gold, poly (beta-amino ester) nanoparticles for siRNA delivery, Nanoletters, 9: 2402-2406, 2009. Ghosh, F., Neeley, W., Langer, R. and Karin, A., Selective removal of photoreceptor cells in vivo using the biodegradable elastomer poly(glycerol sebacate), Tissue Engineering Part A, in press (advance web pub: 10.1089/ten.tea.2008.0450), PMID: 19191667, PMCID: PMC Journal—In Process. Yang, F., Mei, Y., Langer, R. and Anderson, D., High-throughput optimization of stem cell microenvironments, Combinatorial Chemistry and High Throughput Screening, 12: 554-561, 2009, PMID: 19601753, PMCID: PMC2748120. Shapiro, M., Szablowski, J., Langer, R. Jasanoff, A., Protein nanoparticles engineered to sense kinase activity in MRI, JACS, 131: 2484-2486, 2009, PMID: 19199639, PMCID: PMC2662502. Epstein-Barash, H., Shichor, I., Kwon, A., Hall, S., Lawlor, H., Langer, R. and Kohane, D., Prolonged duration local anesthesia with minimal toxicity, Proceedings of the National Academy of Sciences, 106: 7125-7130, 2009, PMID: 19365067, PMCID: PMC2678453. Kraehenbuehl, T., Ferreira, L., Zammaretti, P., Hubbell, J., and Langer, R., Cell-responsive hydrogel for encapsulation of vascular cells, Biomaterials, 30: 4318-4324, 2009, PMID: 19500842, PMCID: PMC Journal—In Process. Nguyen, D., Chen, S., Lu, J., Goldberg, M., Kim, P., Sprague, A., Novobrantseva, T., Sherman, J., Shulga-Morskaya, S., de Fougerolles, A., Chen, J., Langer, R., and Anderson, D., Drug delivery medicated control of RNA immunostimulation, Molecular Therapy, 17: 1555-1562, 2009. Huang, Y., Zugates, G., Peng, W., Holtz, D., Dunton, C., Green, J., Hossain, N., Padera, R., Langer, R., Anderson, D., Sawicki, J., Nanoparticle-delivered suicide gene therapy effectively reduces ovarian tumor burden in mice, Cancer Research, 69: 6184-6191, 2009. PMCID: PMC2735403. Nguyen, D., Kim, P., Martinez-Sobrido, L., Beitzel, B., Garcia-Sastre, A., Langer, R. and Anderson, D., A novel high-throughput cell-based method for integrated quantification of type I interferons and in vitro screening of immunostimulatory RNA drug delivery, Biotechnology and Bioengineering, 103: 664-675, 2009. Sunshine, J., Green, J., Mahon, K., Yang, F., Eltoukhy, A., Nguyen, D., Langer, R., and Anderson D., Small molecule end group of linear polymer determines cell-type gene delivery efficacy, Advanced Materials, 21: 4947-4951, 2009. Stone, G., Barzee, S., Snarsky, V., Santucci, C., Tran, B., Zugates, G., Langer, R., Anderson, D., and Kornbluth, Nanoparticle-delivered multimeric soluble CD40L DNA combined with toll-like receptor agonists as a treatment for melanoma, PLoS One, 4: e7334, 1-14, 2009. Neeley, W., Redenti, S., Klassen, H., Tao, Sarah, Desai, T., Young, M. and Langer, R., Microfabricated scaffold for retinal progenitor cell grafting, Biomaterials, 29: 418-426, 2008. Karnik, R., Gu, F., Basto, P., Cannizzaro, C., Dean, L., Kyei-Manu, W., Langer, R. and Farokhzad, O., Microfluidic platform for controlled synthesis of polymeric nanoparticles, Nano Letters, 8: 2906-2912, 2008. Urquhart, A., Taylor, M., Anderson, D., Langer, R., Alexander, M., Davies, M., TOF-SIMS analysis of a 576 micro-patterned co-polymer array reveals surface moieties that control wettability, Analytical Chemistry, 80: 135-142, 2008. Alexis, F., Rhee, J. Richie, J., Radovic-Moreno, A., Langer, R. and Farokhzad, O., New frontiers in nanotechnology for cancer treatment, Urol. Oncol., 26: 74-85, 2008. Wright, D., Rajalingam, B., Karp, J., Selvarasah, S., Ling, Y., Yeh, J., Langer, R., Dokmeci, M., Khademhosseini, A., Reusable, reversibly sealable parylene membranes for cell and protein patterning, Journ. Biomed. Mat. Res., 85: 530-538, 2008. Chau, Y., Luo, Y., Cheung, A., Nagai, Y., Zhang, S., Kobler, J., Zeitels, S. and Langer, R., Incorporation of a matrix metalloproteinase-sensitive substrate info self-assembling peptides: A model for biofunctional scaffolds, Biomaterials, 29: 1713-1719, 2008. Radisic, M., Park, H., Salazar-Lazaro, J., Geng, W., Wang, Y., Langer, R., Freed, L. and Vunjak-Novakovic, G., Pre-treatment of synthetic elastomeric scaffolds by cardiac fibroblasts improves engineered heart tissue, J. Biomed. Mat. Rsch, 86: 713-724, 2008. Parsa, S., Wang, Y., Fuller, J., Langer, R. and Pfeifer, B., A comparison between polymeric microsphere and bacterial vectors for macrophage P388D1 gene delivery, Pharm. Res., 25: 1202-1208, 2008. Moss, J., Langer, R., Drug Delivery Modalities, Principles of Pharmacology: The Pathophysiologic Basis of Drug Therapy, Second Edition, Chap. 54, pp. 935-941, Lippincott Williams & Wilkins, Baltimore, MD, 2008. Wood, K., Azarin, S., Arap, W., Pasqualini, R., Langer, R., and Hammond, P., Tumor-targeting gene delivery using molecularly engineering hybrid polymers functionalized with a tumor-homing peptide, Bioconjugate Chemistry, 19: 403-405, 2008. Gu, F., Zhang, F., Teply, B., Mann, N., Wang, A., Radovic-Moreno, A., Langer, R., and Farokhzad, O., Precise engineering of targeted nanoparticles using self-assembled biointegrated block copolymers, Proceedings of the National Academy of Sciences, 105: 2586-2591, 2008. Mahdavi, A., Ferreira, L., Sundback, C., Nichol, J., Chan, E., Carter, D., Bettinger, C., Patanavanich, S., Chignozha, L., Joseph, E., Galakatos, A., Pryor, A., Pomerantseva, I., Masiakos, P., Faquin, W., Zumbuehl, A., Hong, S., Borenstein, J. Vacanti, J., Langer, R., and Karp, J., A biodegradable and biocompatible Gecko-inspired adhesive, Proceedings of the National Academy of Sciences, 105: 2307-2312, 2008. Kochling, J., Rott, Y., Arndt, S., Green, J., Anderson, D., Langer, R., Stripecke, R., Schmidt, M., Henze, G. and Bucsky, P., Prevention of Ph+ acute lymphoblastic leukaemia by DNA vaccination using a non-viral vector system and nanoparticle delivery, European Journal of Pediatrics, 167: 371, 2008. Kang, L., Chung, B.G., Langer, R. and Khademhosseini, A., Microfluidics for drug discovery and development: From target selection to product lifecycle management, Drug Discovery Today, 13: 1-13, 2008. Koechling, J., Rott, Y., Arndt, S., Green, J., Anderson, D., Langer, R., Stripecke, R., Wittig, B and Schmidt, M., Prevention of Ph+ acute lymphoblastic leukemia by nanoparticulate delivery of a DNA vaccine in syngeneic mice, Blood, 110: 366b, 2008. Teply, B., Tong, R., Jeong, S.Y., Luther, G., Sherifi, I., Yim. C. Khademhosseini, A., Farokhzad, O., Langer, R. and Cheng, J., The use of charge-coupled polymeric microparticles and micromagnets for modulating the bioavailability of orally delivered macromolecules, Biomaterials, 29: 1216-1223, 2008. Kushner, J., Blankschtein, D. and Langer, R., Heterogeneity in skin treated with low-frequency ultrasound, Journal of Pharmaceutical Sciences, 97: 4119-4128, 2008. Karnik, R., Hong, S. Zhang, H. Mei, Y., Anderson, D., Karp, J. and Langer, R., Nanomechanical control of cell rolling in two dimensions through surface patterning of receptors, Nano Letters, 8: 1153-1158, 2008. Bettinger, C., Zhang, Z, Gerecht, S., Borenstien, J. and Langer, R., Enhancement of in vitro capillary tube formation by substrate nanotopography, Advanced Materials, 20: 99-103, 2008. Karp, J., Mahdavi, A., Hong, S., Khademhosseini, A., and Langer, R., Microscale approaches for bone tissue engineering, in Micro and nanoengineering of the cell microenvironment: Technologies and applications, 2008, 417-430, Khademhosseini, A., Borenstein, J., Toner, M., Takayama, S., eds., Artech House, Boston, US and London, UK. Bettinger, C., Bruggeman, J. Borenstein, J. and Langer, R., Amino alcohol-based degradable poly(ester amide) elastomers, Biomaterials, 29: 2315-2325, 2008. Akinc, A., Zumbuehl, A., Goldberg, M., Leshchiner, E., Busini, V., Hossain, N., Bacallado, S., Nguyen, D., Fuller, J., Alvarez, R., Borodovsky, A. Borland, T., Constein, R., de Fougerolles, A., Dorkin, J., Jayaprakash, K., Jayaraman, M., John, M., Kotelianski, V., Manoharan, M., Nechev, L., Qin, J., Racie, T., Raitcheva, D., Rajeev, K., Sah, D., Soutschek, J., Toudjarska, I, Vornlocher, H.P., Zimmermann, T., Langer, R. and Anderson, D., A combinatorial library of lipid-like materials for delivery of RNAi therapeutics, Nature Biotechnology, 26: 561-569, 2008. Yang, F., Neeley, W., Moore, M., Karp, J., Shukla, A. and Langer, R., Tissue engineering: The therapeutic strategy of the 21st century, Nanotechnology and Tissue Engineering: The Scaffold, CRC Press/Francis Group, pp: 3-32, 2008. Levy-Nissenbaum, E., Radovic-Moreno, A., Wang, Z. Langer, R. and Farokhzad, Nanotechnology and aptamers: Applications in drug delivery, Trends Biotechnol., 26: 442-449, 2008. Bettinger, C., Borenstein, J., and Langer, R. Tissue engineering: Microfabrication techniques in scaffold development, Nanotechnology and Tissue Engineering: The Scaffold, CRC Press/Francis Group, pp: 87-119, 2008. Guerrini, M., Beccati, D., Shriver, Z., Naggi, A., Viswanathan, K., Bisio, A., Capila,I., Lansig, J., Guglieri, S., Fraser, B., Al-Hakim, A., Gunay, N., Zhang, Z., Robinson, L., Buhse, L., Nasr, M., Woodock, J., Langer, R., Venkataraman, G., Linhardt, R., Casu, B., Torri, G., Sasisekharan, R., Oversulfated chondroitin sulfate is a contaminant in heparin associated with adverse clinical events, Nature Biotechnology, 26: 669-675, 2008. Kishimoto, T., Viswanathan, K., Ganguly, T., Elankumaran, S., Smith, S., Pelzer, K., Lansing, J., Sriranganathan, N., Zhao, G., Galcheva-Gargova, Z., Al-Hakim, A., Bailey, G., Fraser, B., Roy, S., Rogers-Cotrone, T., Buhse, L., Whary, M., Fox, J., Nasr, M., Dal Pan, G., Shriver, Z., Langer, R., Venkataraman, G., Austen, F., Woodcock, J., Sasisekharan, R., Contaminated Heparin Associated with Adverse Clinical Events and Activation of the Contact System, New England Journal of Medicine, 358: 2457-2467, 2008. Blossom, D., Kallen, A. Patel, R., Elward, A., Robinson, L., Gao, G., Langer, R., Perkins, K., Jaeger, J., Kurkjian, K., Jones, M., Schillie, S., Shehab, N., Ketterer, D., Venkataraman, G., Kishimoto, T., Shriver, Z., McMahon, A., Austen, K., Kozlowski, S., Srinivasasn, A., Turabelidze, G., Gould, C. Arduino, M. and Sasisekharan, R., Outbreak of adverse reactions associated with contaminated heparin, New England Journal of Medicine, 359: 2674-2684, 2008. Kohane, D. and Langer, R., Polymeric biomaterials in tissue engineering, Pediatric Research, 63: 487-491, 2008. Ferreira, L., Squire, T., Park, H., Choe, H., Kohane, D. and Langer, R., Human embryoid bodies containing nano- and micro-particulate delivery vehicles, Advanced Materials, 20: 2285-2291, 2008. Park, H., Bhalla, R., Saigal, R., Radisic, M., Watson, N., Langer, R., Vunjak-Novakovi, G., Effects of the electrical stimulation in C2C12 muscle constructs, Journal of Tissue Engineering and Regenerative Medicine, 2: 279-287, 2008. Zhang, L., Gu, F., Chan., J., Wang, A., Langer, R. and Farokhzad, O., Nanoparticles in medicine: Therapeutic applications and developments, Clinical Pharmacology and Therapeutics, 83: 761-769, 2008. Kushner, J., Blankschtein, D. and Langer, R., Evaluation of hydrophilic permeant transport parameters in the localized and non-localized transport regions of skin treated simultaneously with low-frequency ultrasound and sodium lauryl sulfate, Journal of Pharmaceutical Sciences, 97: 906-918, 2008. Nguyen, D. Raghavan, S., Tashima, L., Lin, E., Fredette, S., Langer, R. and Wang, C., Enhancement of poly(orthoester) microchips for DNA vaccine delivery by blending with poly(ethylenimine), Biomaterials, 29: 2783-2793, 2008. Brito, L., Little, S., Langer, R., Amiji, M., Poly(β-amino ester) and Cationic Phospholipid-Based Lipopolyplexes for Gene Delivery and Transfection in Human Aortic Endothelial and Smooth Muscle Cells, Biomacromolecules, 9: 1179-1187, 2008. Bruggeman, J., deBruin, B-J., Bettinger, C. and Langer, R., Biodegradable poly(polyol sebacate) polymers, Biomaterials, 29: 4726-4735, 2008. Cao, Y. and Langer, R., A review of Judah Folkman’s remarkable achievement in biomedicine, Proceedings of the National Academy of Sciences, 105: 13203-13205, 2008. Green, J., Zhou, Y., Mitalipova, M., Beard, C., Langer, R., Jaenisch, R. and Anderson, D., Nanoparticles for gene transfer to human embryonic stem cell colonies, Nano Letters, in 8: 3126-3130, 2008. Green, J., Langer, R., and Anderson, D., A combinatorial polymer library approach yields insights into non-viral gene delivery, Accounts of Chemical Research, 41: 749-759, 2008. Ferreira, L., Karp, J., Nobre, L. and Langer, R., New opportunities: The use of nanotechnologies to manipulate and track stem cells, Cell Stem Cell, 3: 136-146, 2008. Wang, Z., Guimaraes, A., Zhang, L., Gu, F., Langer, R., Weissleder, R. and Farokhzad, O., Development of novel multifunctional nanoparticles for combined imaging and targeted delivery of chemoradiotherapy, Int. Journal of Radiation Oncology Biology Physics (Spe. Iss. ), 72: S707, 2008. Auguste, D., Furman, K., Wong, A., Fuller, J., Armes, S., Deming, T. and Langer, R., Poly(ethylene glycol) protected, pH-dependent liposomes enhance RNAi delivery, Journal of Controlled Release, 130: 266-274, 2008. Dhar, S., Gu, F., Langer, R., Farokhzad, O. and Lippard, S., Targeted delivery of cisplatin to prostate cancer cells by aptamer functionalized pt (IV) prodrug-PLGA-PEG nanoparticles, Proceedings of the National Academy of Sciences, 105: 17356-17361, 2008. Prausnitz, M. and Langer, R., Transdermal drug delivery, Nature Biotechnology, 26: 1261-1268, 2008. Nguyen, D., Green, J., Chan., J., Anderson, D. and Langer, R., Polymeric materials for gene delivery and DNA vaccination, Advanced Materials, 20: 1-21, 2008. Wang, A., Bagalkot, V., Vasilliou,l C., Gu, F., Alexis, F., Zhang, L., Shaikh, M., Yuet, K., Cima, M., Langer, R., Kantoff, P., Bander, N., Jon, S. and Farokhzad, O., Superparamagnetic iron oxide nanoparticle aptamer bioconjugate for combined prostrate cancer imaging and therapy, ChemMedChem, 3: 1311-1315, 2008. Bruggeman, J., Bettinger, C., Nijist, C., Kohane, D. and Langer, R., Biodegradable xylitol-based polymers, Advanced Materials, 20: 1922-1927, 2008. Park, H., Williams, G., Goldman, N., Choe, H., Kobler, .J., Lopez Guerra, G., Heaton, J., Langer, R. and Zeitels, S., Comparison of effects of two harvesting methods on fat autograft, The Laryngoscope, 118: 1493-1499, 2008. Adams, D., Toner, M., and Langer, R., Microflow and crack formation patterns in drying sessile droplets of liposome suspensions in trehalose solutions, Langmuir, 24: 7688-7697, 2008. Showalter, S., Huang, Y., Witkiewicz, A., Constantino, C., Yeo, C., Green, J., Langer, R., Anderson, D., Sawicki, J. and Brody, J., Nanoparticle delivery of diphtheria toxin DNA effectively kills mesothelin expressing pancreatic cancer cells, Cancer Biology and Therapy, 7: 1584-1590, 2008. Mei, Y., Cannizzaro, C., Park, H., Xu, Q., Bogatyrev, S., Yi, K., Goldman, N., Langer, R. and Anderson, D., Cell-compatible, multicomponent protein arrays with subcellular feature resolution, Small, 4: 1600-1604, 2008. Hudson, S., Padera, R., Langer, R. and Kohane, D., The biocompatibility of mesoporous silicates, Biomaterials, 29: 4045-4055, 2008. Zhang, L, Chan, J., Gu, F., Rhee, J., Wang, A., Radovic-Moreno, A., Alexis, F., Langer, R. and Farokhzad, O., Self-assembled lipid-polymer hybrid nanoparticles: A robust drug delivery platform, ACS Nano, 2: 1696-1702, 2008. Frank-Kamenetsky, M., Grefhorst, A., Anderson, A., Racie, T., Bramlage, B., Akinc, A., Butler, D., Charisse, K., Dorkin, R., Fan, Y. Gamba-Vitalo, C., Hadwiger, P., Jayaraman, M., John, M., Jayaprakash, K., Maier, M., Nechev, L., Rajeev, K., Read, T., Rohl, I., Soutschek, J., Tan, P., Wong, J., Wang, G., Zimmerman, T., de Fougerolles, A., Vornlocher, H., Langer, R., Anderson, D., Manoharan, lM., Koteliansky, V., Horton, J. and Fitzgerald, K., Therapeutic RNAi targeting PCSK9 acutely lowers plasma cholesterol in rodents and LDL cholesterol in nonhuman primates, Proceedings of the National Academy of Sciences, 105: 11915-11920, 2008. Engelmayr, G., Cheng, M., Bettinger, C., Borenstein, J. Langer, R. and Freed, L., Accordian like honeycombs for tissue engineering cardiac anisotropy, Nature Materials, 7: 1003-1010, 2008. Taylor, M., Urquhart, A., Williams, P., Anderson, D., Langer, R, Alexander, M. and Davies, M., A method for investigating protein adhesion and adsorption to microarrayed combinatorial polymers, Macromolecular Rapid Communications, 29: 1298-1302, 2008. Cho, S., Hartle, L., Son, S., Yang, F., Goldberg, M., Xu, Q., Langer, R. and Anderson, D., Delivery of small interfering RNA for inhibition of endothelial cell apoptosis by hypoxia and serum deprivation, Biochemical & Biophysical Research Communications, 376: 158-163, 2008. Svensson, R., Shey, M., Ballas, Z., Dorkin, R., Goldberg, M., Akinc, A., Langer, R., Anderson, D., Bumcrot, D. and Henry, M., Assessing siRNA pharmacodynamics in a luciferase expressing mouse, Molecular Therapy, 16: 1995-2001, 2008. Sawicki, J., Anderson, D. and Langer, R., Nanoparticle delivery of suicide DNA for epithelial ovarian cancer therapy, Advances in Experimental Medicine and Biology, Vol. 767: Ovarian Cancer, Springer Verlag, New York, 622: 209-19, 2008. Langer, R., Tissue engineering: Perspectives, challenges and future directions, Tissue Engineering, 13: 1-2, 2007. Khademhosseini, A., Ling, Y., Karp, J. and Langer, R., Micro- and nanoscale control of cellular environment for tissue engineering. Nanobiotechnology II, Mirkin, C. and Niemeyer, C., Eds., 2007, Wiley-VCH Verlag, Weinheim. Moss, J.D. and Langer, R., Drug Delivery Modalities, in Principles of Pharmacology: The pathophysiologic basis of drug therapy 2nd Ed, 2007, 935-941, E. Golan, ed.in chief, Lippincott Williams & Williams, Baltimore. Farokhzad, O., Jon, S. and Langer, R., Aptamers and cancer nanotechnology. Nanotechnology for cancer therapy, pp. 289-313, Amiji, M., Ed, 2007. Goldberg, M., Langer, R. and Jia, X., Nanostructured materials for applications in drug delivery and tissue engineering, Journal of Biomaterials Science Polymer, 18: 241-268, 2007. Green, J., Chiu, E., Leshchiner, E., Shi, J., Langer, R., Anderson, D., Electrostatic ligand coatings of nanoparticles enable ligand-specific gene delivery to human primary cells, Nano Letters,7: 874-879, 2007. Peng, W., Anderson, D., Bao, Y., Padera, R., Langer, R., Sawicki, Nanoparticulate delivery of suicide DNA to murine prostate and prostate tumors, The Prostate, 67: 855-862, 2007. Ferreira, L., Langer, R., Vunjak-Novakovic, G., Gerecht-Nit, S., Fuller, J., Shieh, H., Bioactive hydrogel scaffolds for controllable vascular differentiation of human embryonic stem cells, Biomaterials, 28: 2706-2717, 2007. Ward, M.S., Khoobei, A., Lavik, E.B., Langer, R., Young, M.J., Neuroprotection of retinal ganglion cells in DBA/2J mice with GDNF-loaded biodegradable microspheres, Journal of Pharmaceutical Sciences, 96: 558-568, 2007. Choleris, E., Little, S., Mong, J., Puram, S., Langer, R., Pfaff, D., Microparticle-based delivery of oxytocin receptor antisense DNA in the medial amygdala blocks social recognition in female mice, Proc. Nat. Acad. 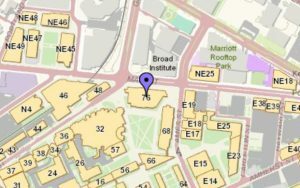 Sci., 104: 4670-4675, 2007. Gu, F., Karnik, R., Wang, A., Alexis, F., Levy-Nissenbaum, E., Seungpyo, H., Langer, R., Farokhzad, O., Targeted nanoparticles for cancer therapy, Nano Today, 2: 14-21, 2007. 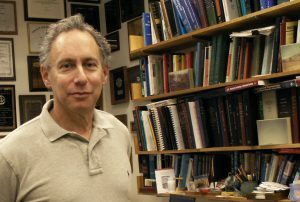 Langer, R., A bioengineer sees a future for safe gene-silencing therapies, Nature, 447: 757, 2007. Karp, J., Yeh, J., Eng, G., Fukuda, J., Blumling, J., Suh, K., Cheng, J., Mahdavi, A., Borenstein, J., Langer, R., Khademhosseini, A., Controlling size, shape, and homogeneity of embryoid bodies using poly(ethylene glycol) microwells, Lab on a Chip, 7:786-794, 2007. Figallo, E., Cannizzaro, C., Gerecht, S., Burdick, J., Langer, R., Elvassore, N., Vunjak-Novakovic, G., Micro-bioreactor array for controlling cellular microenvironments, Lab on a Chip, 7: 710-719, 2007. Gerecht, S., Burdick, J., Ferreira, L., Townsend, S., Langer, R., Vunjak-Novakovic, G., Hyaluronic acid hydrogel for controlled self-renewal and differentiation of human embryonic stem cells, PNAS, 104: 11298-11303, 2007. Yeo, Y., Bellas, E., Highleye, C.B., Langer, R., Kohane, D.S., Peritoneal adhesion prevention with an in situ cross-linkable hyaluronan gel containing tissue-type plasminogen activator in a rabbit repeated-injury model, Biomaterials, 28: 3704-3713, 2007. Cheng, J., Teply, B.A., Sherifi, I., Sung, J., Luther, G., Gu, F.X., Levy-Nissenbaum, E., Radovic-Moreno, A., Langer, R., Farokhzad, O.C., Formulation of functionalized PLGA-PEG nanoparticles for in vivo targeted drug delivery, Biomaterials, 28: 869-876, 2007. Loose, C., Langer, R. and Stephanopoulos, G., Optimization of protein fusion partner length for maximizing in vitro translation of peptides, Biotechnology Progress, 23: 444-451, 2007. Gerecht, S., Bettinger, C., Zhang, Z., Borenstein, J., Vunjak-Novakovic, G., Langer, R., The effect of actin disrupting agents on contact guidance of human embryonic stem cells, Biomaterials, 28: 4068-4077, 2007. Ferreira, L., Gerecht, S., Sheih, H., Watson, N., Rupnick, M., Dallabrida, S., Vunjak-Novakovic, G., Langer, R., Vascular progenitor cells isolated from human embryonic stem cells give rise to endothelial and smooth muscle-like cells and form vascular networks in vivo, Circulation Research, 101: 286-294, 2007. Levenberg, S., Basevitch, Y., Zoldan, J. and Langer, R., Review: Endothelial potential of human embryonic stem cells, Blood, 110: 806-814, 2007. Zumbuehl, A., Ferreira, L., Kuhn, D., Astashkina, A., Long, L., Yeo, Y., Iaconis, T., Ghannoum, M. Langer, R., Kohane, D. and Fink, G., Antifungal hydrogels, Proceedings of the National Academy of Sciences, 104: 12994-12998, 2007. Ng, T., Lavik, E., Keino, H., Taylor, A., Langer, R., Young, M., Creating an immune privileged site using retinal progenitor cells and biodegradable polymers, Stem Cells,25: 1552-1559, 2007. Park, H., Cannizzaro, C., Vunjak-Novakovic, G., Langer, R., Vacanti, C., Farokhzad, O., Nanofabrication and microfabrication of functional materials for tissue engineering, Tissue Engineering, 13: 1867-1877, 2007. Zugates, G., Peng, W., Zumbuehl, A., Jhunjhunwala, S., Huang, Y., Langer, R., Sawicki, J., Anderson, D., Rapid optimization of gene delivery by parallel end-modification of poly(β-amino ester)s, Molecular Therapy, 15: 1306-1312, 2007. Radisic, M., Park, H., Gerecht-Nir, S., Cannizzaro, C., Langer, R., Vunjak-Novakovic, G., Biomimetic approach to cardiac tissue engineering, Philos. Trans. R. Soc. Lond. Biol. Sci., 362: 1357-1368, 2007. Gerecht, S., Townsend, S., Pressler, H., Zhu, H., Nijist, C., Bruggeman, J., Nichol, J. and Langer, R., A porous photocurable elastomer for cell encapsulation and culture, Biomaterials, 28: 4826-4825, 2007. Little, S., Anderson, D. and Langer, R., Nonviral genetic vaccines for cancer, Gene Therapy for Cancer, ed., Hunt, K., Vorburger, S. and Swisher, S., Humana Press, Totowa, NJ, 2007. Jiang, C., Moore, M., Zhang, X., Klassen, H., Langer, R., Young, M., Intravitreal injections of GDNF-loaded biodegradable microspheres are neuroprotective in a rat model of glaucoma, Molecular Vision, 13: 1783-1792, 2007. Karp, J., Langer, R., Development and therapeutic applications of advanced biomaterials, Current Opinion in Biotechnology, 18: 1-6, 2007. Daniel, K., Kim, G., Vassiliou, C., Jalali-Yazdi, F., Langer, R., Cima, M., Multi-Reservoir Device for Detecting a Soluble Cancer Biomarker, Lab on a Chip, 7: 1288-1293, 2007. Urquhart, A., Anderson, D., Taylor, M., Alexander, M., Langer, R., Davies, M., High throughput surface characterization of a combinatorial material library, Advanced Materials, 19: 2486-2491, 2007. Park, S., Lee, K., Choi, I., Langer, R., Jon, S., Dual functional, polymeric, self-assembled monolayers as a facile platform for construction of patterns of biomolecules, Langmuir, 23: 10902-10905, 2007. Townsend, S., Evrony, G., Gu, F., Shulz, M., Brown Jr., R., Langer, R., Tetanus toxin C fragment conjugated nanoparticles for targeted drug delivery to neurons, Biomaterials, 28: 5176-5184, 2007. Bettinger, C., Cyr, K., Matsumoto, A., Langer, R., Borenstein, J., Kaplan, D., Silk fibroin microfluidic devices, Advanced Materials, 19: 2847-2850, 2007. Khademhosseini, A and Langer, R., Microengineered hydrogels for tissue engineering, Biomaterials, 28: 5087-5092, 2007. John, M., Constien, R., Akinc, A., Goldberg, M., Moon, Y., Spranger, M., Hadwiger, P., Soutschek, J., Vornlocher, H., Manoharan, M., Stoffel, M., Langer, R., Anderson, D., Horton, J., Koteliansky, V., Bumcrot, D., Effective RNAi-mediated gene silencing without interruption of the endogenous microRNA pathway, Nature, 449: 740-744, 2007. Farokhzad, O., Zhang, L., Kantoff, P., Langer, R., Jon, S., Bagolkot, V., Quantum dot-aptamer conjugates for synchronous cancer imagin, therapy, and sensing of drug delivery based on bi-flourescence resonance energy transfer, Nano Letters, 7: 3065-3070, 2007. Kim, G., Josephson, L., Langer, R., Cima, M., Magnetic relaxation switch detection of human chorionic gonadotrophin, Bioconjugate Chemistry, 18: 2024-2028, 2007. Nijst, C., Bruggeman, J., Karp, J., Ferreira, L., Zumbuehl, A., Bettinger, C., Langer, R., Synthesis and characterization of photocurable elastomers from poly(glycerol-co-sebacate), Biomacromolecules, 8: 3067-3073, 2007. Green, J., Zugates, G., Tedford, N., Huang, Y., Griffith, L., Lauffenburger, D., Sawicki, J., Langer, R., Anderson, D., Combinatorial modification of degradable polymers enables transfection of human cells comparable to adenovirus, Advanced Materials, 19: 2836-2842, 2007. Kushner, J., Deen, W., Blankschtein, D. and Langer, R., First-principles, structure-based transdermal transport model to evaluate lipid partition and diffusion coefficients of hydrophobic permeants solely from stratum corneum permeation experiments, Journal of Pharmaceutical Sciences, 96: 3236-3251, 2007. Kushner, J., Kim, D., So, P., Blankschtein, D., Langer, R., Dual-Channel two-photon microscopy study of transdermal transport in skin treated with low-frequency ultrasound and a chemical enhancer, Journal of Investigative Dermatology, 127: 2832-2846, 2007. Zugates, G., Tedford, N., Zumbuehl, A., Jhunjhunwala, S., Kang, C., Griffith, L., Lauffenburger, D., Langer, R., Anderson, D., Gene delivery properties of end-modified poly(β-amino ester)s, Bioconjugate Chemistry, 18: 1887-1896, 2007. Peer, D., Karp, J., Hong, S., Farokhzad, O., Margalit, R., Langer, R., Nanocarriers: Emerging platforms for cancer therapy, Nature Nanotechnology, 2: 751-760, 2007. Kushner, J., Blankschtein, D. and Langer, R., Evaluation of the porosity, the tortuosity, and the hindrance factor for the transdermal delivery of hydrophilic permeants in the context of the aqueous pore pathway hypothesis using dual-radiolabeled permeability experiments, Journal of Pharmaceutical Sciences, 96: 3263-3282, 2007. Adams, D., Toner, M., and Langer, R., Role of trehalose in prevention of giant vesicle adsorption and encapsulated solute leakage in anhydrobiotic preservation, Langmuir, 23: 13013-13023, 2007. Hong, S., Lee, D., Zhang, H., Zhang, J., Resvick, J., Khademhosseini, A., King, M., Langer, R., Karp, J., Covalent immobilization of P-selectin enhances cell rolling, Langmuir, 23: 12261-12268, 2007. Evgenov, O., Kohane, D., Bloch, K., Stasch, J., Volpatol, G., Bellas, E., Evgenov, N., Buys, E., Gnoth, M., Graveline, A., Liu, R., Hess, D., Langer, R., Zapol, W., Inhaled agonists of soluble guanylate cyclase induce selective pulmonary vasodilation, American Journ. of Resp. and Crit. Care Med., 176: 1138-1145, 2007. Kim, G., Tyler, B., Tupper, M., Karp, J., Langer, R., Brem, H., Cima, M., Resorbable polymer microchips releasing BCNU inhibit tumor growth in the rat 9L flank model, Journal of Controlled Release, 123: 172-178, 2007. Bettinger, C.J., Weinberg, E.J., Kulig, K.M., Vacanti, P., Wang, Y., Borenstein, J. and Langer, R., Three-dimensional microfluidic tissue-engineering scaffolds using a flexible biodegradable polymer, Advanced Materials, 18: 165-169, 2006. Burdick, J., Ward, M., Liang, E., Young, M., Langer, R., Stimulation of neurite outgrowth by neurotrophins delivered from degradable hydrogels, Biomaterials, 27: 452-459, 2006. Radisic, M., Park, H., Chen, F., Salazar-Lazzaro, J., Wang, Y., Dennis, R., Langer, R., Freed, L. and Vunjak-Novakovic, G., Biomimetic approach to cardiac tissue engineering: Oxygen carriers and channeled scaffolds, Tissue Engineering, 12: 2006. Fukuda, J., Khademhosseini, A., Yeh, J., Eng, G., Cheng, J., Farokhzad, O. and Langer, R., Micropatterned cell co-cultures using layer-by-layer deposition of extracellular matrix components, Biomaterials, 27: 1479-1486, 2006. Levenberg, S., Khademhosseini, A. and Langer, R., Embryonic Stem Cells in Tissue Engineering, in Essentials of Stem Cell Biology, 2006, pp457-462, R. Lanza, E.D. Thomas, J. Thomson, R. Pederson, J. Gearhart, B. Hogan, D. Melton, M. West, eds., Elsevier. Lavik, E. and Langer, R., Nerve Regeneration, in Scaffolding in Tissue Engineering, 2006, pp 481-499, Ma, P. and Elisseeff, J., eds., CRC Press. Khademhosseini, A., Vacanti, J., Borenstein, J. and Langer, R., Microscale technologies for tissue engineering and biology, Proceedings of the National Academy of Sciences, 103: 2480-2487, 2006. Kohane, D., Tse, J., Yeo, Y., Padera, R., Shubina, M. and Langer, R., Biodegradable polymeric microspheres and nanospheres for drug delivery in the peritoneum, J. Biomed Mat. Rsch., 77A: 351-361, 2006. Shmulewitz, A. and Langer, R., The ascendance of combination products, Nature Biotechnology, 24: 277-280, 2006. Peppas, N., Hilt, Z., Khademhosseini, A. and Langer, R., Hydrogels in biology and medicine: From molecular properties to bionanotechnology, Advanced Materials, 18: 1345-1360, 2006. George, P., LaVan, D., Burdick, J., Chen, C.-Y., Liang, E. and Langer, R., Electrically controlled drug delivery from biotin-doped condutive polypyrrole, Advanced Materials, 18: 577-581, 2006. Gerecht-Nir, S., Radisic, M., Park, H., Cannizzaro, C., Boublik, J., Langer, R. and Vunjak-Novakovic, G., Biophysical regulation during cardiac development and application to tissue engineering, Int. J. Dev. Biol., 50: 233-243, 2006. Yin, Y., Henzl, M, Lorber, B., Nakazawa, T., Thomas, T., Jiang, F., Langer, R. and Benowitz, L., Oncomodulin is a macrophage-derived signal for axon regeneration in retinal ganglion cells, Nature Neuroscience, 9: 843-852, 2006. Devalapally, H., Shenoy, D., Little, S., Langer, R. and Amiji, M., Poly(ethylene oxide)-modified poly(b-amino ester) nanoparticles as a pH-sensitive system for tumor-targeted delivery of hydrophobic drugs Part III: Therapeutic efficacy and safety studies in ovarian cancer xenograft model, Cancer Chemotherapy and Pharmacology, DI 10.1007/s00280-006-0287-5, 2006. Farokhzad, O, Karp, Jeffrey, Langer, R, Nanoparticle–aptamer bioconjugates for cancer targeting, Expert Opinion in Drug Delivery 3:3, 311-324, 2006. Berry, D., Lynn, D.M., Berry, E., Sasisekharan, R. and Langer, R., Heparin localization and fine structure regulate Burkitt’s lymphoma growth, Biochemical and Biophysical Rsch Comm., 348: 850-856, 2006. Langer, R., Biomaterials for drug delivery and tissue engineering, MRS Bulletin, 31: 477-485, 2006. Bettinger, C.J., Orrick, B., Misra, A., Langer, R. and Borenstein, J., Microfabrication of poly (glycerol-sebacate) for contact guidance applications, Biomaterials, 27: 2558-2565, 2006. Farokhzad, O., Cheng, J., Teply, B., Sherifi, I., Jon, S.Y., Kantoff, P., Richie, J.P. and Langer, R., Targeted nanoparticle-aptamer bioconjugates for cancer chemotherapy in vivo, Proceedings of the National Academy of Sciences, 103: 6315-6320, 2006. Staples, M., Daniel, K., Cima, M. and Langer, R., Application of micro- and nano-electromechanical devices to drug delivery, Pharmaceutical Research, 23: 847-863., 2006. Yeo, Y., Highley, C. B., Bellas, E., Ito, T., Marini, R., Langer, R., Kohane, D.S., In situ cross-linkable hyaluronic acid hydrogels prevent post-operative abdominal adhesions in a rabbit model, Biomaterials, 27: 4698-4705, 2006. Mahmood, T., Shastri, V.P., Van Blitterswijk, C.A., Langer, R., and Riesle, J., Evaluation of chondrogenesis within PEGT:PBT scaffolds with high PEG content. Journal of Biomedical Materials Research, 79A: 216-222, 2006. Fukuda, J., Khademhosseini, A., Yeo, Y., Yang, X., Yeh, J., Eng, G., Blumling, J., Wang, C.-F., Kohane, D. and Langer, R., Micromolding of photocrosslinkable chitosan hydrogel for spheroid microarray and co-cultures Biomaterials, 27: 5259-5267, 2006. Anderson, D.G., Tweedie, C.A., Hossain, N., Navarro, S.M., Brey, D.M., Van Vliet, K.J., Langer, R., Burdick, J.A., A Combinatorial Library of Photocrosslinkable and Degradable Materials, Advanced Materials, 18: 2614-2618, 2006. Hahn, M., Teply, B., Stevens, M., Zeitels, S. and Langer, R., Collagen composite hydrogels for vocal fold lamina propria restoration, Biomaterials, 27: 1104-1109, 2006. Hoffman, S., Knecht, S., Langer, R., Kaplan, D.L., Vunjak-Novakovic, G., Merkle, H. and Meinel, L., Cartilage-like tissue engineering using silk scaffolds and mesenchymal stem cells, Tissue Engineering, 12: 2729-2738, 2006. Karp, J., Ferreira, L, Khademhosseini, A., Kwon, A., Yeh, J. and Langer, R., Cultivation of human embryonic stem cells without the embryoid body step enhances osteogensis in vitro, Stem Cells, 24: 835 – 843, 2006. Yoshida, M., Langer, R., Lendlein, A. and Lahann, J., From advanced biomedical coatings to multi-functionalized biomaterials, Polymer Reviews, Vol.46, 4: 347-375, 2006. Mahmood, T., Miot, S., Frank, O., Martin, I., Riesle, J., Langer, R., and Van Blitterswijk, C.A., Modulation of chondrocyte phenotype for tissue engineering by designing the biologic-copolymer carrier interface. Biomacromolecules, 7: 3012-3018, 2006. Teng, Y., Liao, W., Choi, H., Konya, D., Sabharwal, S., Langer, R., Sidman, R., Snyder, E., Frontera, W., Physical activity mediated functional recovery after spinal cord injury: Potential roles of neural stem cells, Future Medicine, 1: 763-776, 2006. Watanabe, W., Thomas, M., Clarke, R., Klibanov, A., Langer, R., Katstra, J., Fuller, G., Griel, L., Fiegel, J., Edwards, D., Why inhaling salt water changes what we exhale. Journal of Colloid and Interface Science, 9:16 1-8, 2006. Bellin, I., Kelch, S., Langer, R. and Lendlein, A., Polymeric triple shape materials, Proceedings of the National Academy of Sciences., 103: 18043-18047, 2006. Meinel, L., Hofmann, S., Betz, O., Fajardo, R., Merkle, H., Langer, R., Evans, C., Vunjak-Novakovic, G. and Kaplan, D., Osteogenesis by human mesenchymal stem cells cultured on silk biomaterials: Comparison of adenovirus mediated gene transfer and protein delivery of BMP-2, Biomaterials, 27: 4993-5002, 2006. Bagalkot, V., Farokhzad, O., Langer, R., Jon, S., An aptamer-doxorubicin physical conjugate as a novel targeted drug-delivery platform, Angewandte Chemie International Edition, 45: 8149-8152, 2006. Jia, X., Yeo, Y., Clifton, R., Jiao, T., Kohane, D., Kobler, J., Zeitels, S., Langer, R., Hyaluronic acid-based microgels and microgel networks for vocal fold regeneration, Biomacromolecules, 7: 3336-3344, 2006. Yeh, J., Ling, Y., Karp, J., Gantz, J., Chandawarkar, A., Eng, G., Blumling, J., Langer, R. and Khademhosseini, A., Micromolding of shape-controlled, harvestable cell-laden hydrogels, Biomaterials, 27: 5391-5398. 2006. Suh, K.Y., Khademhosseini, A., Jon, S. and Langer, R., Direct confinement of individual viruses within polyethylene glycol (PEG) nanowells, Nano Letters, 6: 1196-1201, 2006. Piantino, J., Burdick, J., Goldberg, D., Langer, R. and Benowitz, L., An injectable, biodegradable hydrogel for trophic factor delivery enhances axonal rewiring and improves performance after spinal cord injury, Experimental Neurology, 201: 359-367, 2006. Khademhosseini, A., Karp, J., Bettinger, C., Borenstein, J., Yeh, J., Ling, Y., Fukuda, J. and Langer, R., Interplay of biomaterials and micro-scale technologies for advancing biomedical applications, Journal of Biomaterials Science: Polymer Edition, 17: 1221-1240, 2006. Green, J. J., Shi, J., Chiu, E., Leshchiner, E. S., Langer, R. and Anderson, D.G., Biodegradable polymeric vectors for gene delivery to human endothelial cells, Bioconjugate Chemistry, 17: 1162-1169, 2006. Yeo, Y., Burdick, J., Highley, C., Marini, R, Langer, R. and Kohane, D.S., Peritoneal application of chitosan and UV-cross-linkable chitosan, J. Biomed. Mats. Rsch., 78A: 668-675, 2006. Zugates, G.T., Anderson, D.G., Little, S.R., Lawhorn, I.E.B. and Langer, R., Synthesis of poly(b-amino ester)s with thiol-reactive side chains for DNA delivery, J. Amer. Chem. Soc., 128: 12726-12734, 2006. Mahmood, T., van Blitterswijk, C., Shastri, P., Riesle, J. and Langer, R., Chondrogenesis within PEGT:PBT scaffolds with high PEG content, J. Biomed Mats Rsch, 79A: 216-222, 2006. Farokhzad, O. and Langer, R., Nanomedicine: Developing smarter therapeutic and diagnostic modalities, Advanced Drug Delivery Reviews, 58: 1456-1459, 2006. Chau, Y., Dang, N., Tan, F., Langer, R., Investigation of targeting mechanism of new dextran-peptide-methotrexate conjugates using biodistribution study in matrix-metalloproteinase-overexpressing tumor xenograft model, Journal of Pharmaceutical Sciences, 95: 542-551, 2006. Luo, Y., Kobler, J., Zeitels, S., Langer, R., Effects of growth factors on extracellular matrix production by vocal fold fibroblasts in 3-dimensional culture, Tissue Engineering, 12: 3365-3374, 2006. Khademhosseini, A., Ferreira, L., Blumling, J., Yeh, J., Karp, J., Fukuda, J., Langer, R., Co-culture of human embryonic stem cells with murine embryonic fibroblasts on microwell-patterned substrates, Biomaterials, 27: 5968-5977, 2006. Karp, J., Yeo, Y., Geng, W., Cannizarro, C., Yan, K., Kohane, D., Vunjak-Novakovic, G., Langer, R., Radisic, M., A photolithographic method to create cellular micropatterns, Biomaterials, 27: 4755-4764, 2006. Mitragotri, S., Tang, H. Blankschtein, D., Langer, R. Transdermal delivery: Sonophoresis, Encl. Of Pharm. Tech., pp. 3828-3842, Swarbrick, J., Boylan, J., Eds., Informa Healthcare, 2006. Burdick, J., Chung, C., Jia, C., Randolph, M. and Langer, R., Controlled degradation and mechanical behavior of photopolymerized hyaluronic acid networks, Biomacromolecules, 6: 386-391, 2005. Moss, J.D. and Langer, R., Drug Delivery Mechanisms, in Principles of Pharmacology: The pathophysiologic basis of drug therapy, 2005, 781-787, E. Golan, ed. in chief, Lippincott Williams & Williams, Baltimore. Meinel, L., Hofmann, S., Kareourgiou, V., Kirker-Head, C., Zichner, L., McCool, J.C., Langer, R., Vunjak-Novakovic, G. and Kaplan, D., The inflammatory reponses to silk films in vivo and in vitro, Biomaterials, 26: 147-155, 2005. Wood, K.C., Little, S.R., Langer, R., and Hammond, P.T., A family of hierarchically self-assembling linear-dendritic hybrid polymers for highly efficient targeted gene delivery, Angewandte Chemie, 44: 2-7, 2005. Sundback, C., Shyua, J., Wang, Y. Faquinc, W., Langer, R., Vacanti, J. and Hadlock, T., Biocompatibility analysis of poly(glycerol sebacate)as a nerveguide material, Biomaterials, 26: 5454-5464, 2005. Anderson, D., Akinc, A., Hossain, N. and Langer, R., Structure/property studies of polymeric gene delivery using a library of poly(b-amino esters), Molecular Therapy, 11: 426-434, 2005. LaVan, D., Padera, R., Friedmann, T., Sullivan, J., Langer, R., and Kohane, D., In vivo evaluation of tetrahedral amorphous carbon, Biomaterials, 26: 465-473, 2005. Pfeifer, B., Burdick, J. and Langer, R., Formulation and surface modification of poly(ester-anhydride) micro- and nanospheres, Biomaterials, 26: 117-124, 2005. Lynn, D., Anderson, D.G., Akinc, A. and Langer, R., Degradable poly(b-amino ester)s for gene delivery, Polymeric Gene Delivery: Principles And Applications, ed: Mansoor M. Amiji, CRC Press, 1st ed., 2005, p. 227-241. Grayson, A.C.R., Cima, M. and Langer, R., Size and temperature effects on poly(lactic acid-co-glycolic acid) degradation and microreservoir device performance, Biomaterials, 26: 2137-2145, 2005. Kim, P., Kim, D.H., Kimb, B, Choi, S.K., Lee, H., Khademhosseini, A., Langer, R. and and Suh, K.Y., Fabrication of nanostructures of polyethylene glycol for applications to protein adsorption and cell adhesion, Nanotechnology, 16: 1-7, 2005. George, P., Lyckman, A., LaVan, D., Hedge, A., Leung, Y., Avasare, R., Testa, C., Alexander, P., Langer, R. and Sur, M., Fabrication and biocompatibility of polypyrrole implants suitable for neural prosthetics, Biomaterials, 26: 3511-3519, 2005. Johnson, A.M., Sadoway, D.R., Cima, M.J. and Langer, R., Design and testing of an impedance-based sensor for monitoring drug delivery, J. of the Electrochem. Soc., 152: H6-H11, 2005. Lahann, J. and Langer, R., Smart materials with dynamically controlled surfaces, MRS Bulletin, 30: 185-188, 2005. Levenberg, S., Huang, N. and Langer, R., Derivation of endothelial cells from human embryonic stem cells, in Human Embryonic Stem Cells., 2005, pp137-152, G.P. Schatten, eds., Odorico, J., Zhang, S., Pedersen, R., Garland Science/BIOS Scientific Publishers. Anderson, D., Putnam, D., Lavik, E., Mahmood, T. and Langer R., Biomaterial microarrays: Rapid, microscale screening of polymercell interaction, Biomaterials, 26: 4892-4897, 2005. Fidkowski, C., Kaazempur-Mofrad, M., Borenstein, J., Vacanti, J., Langer, R. and Wang, Y., Endothelialized microvasculature based on a biodegradable elastomer, Tissue Engineering, 11: 302-309, 2005. Radisic, M., Deen, W., Langer, R. and Vunjak-Novakovic, G., Mathematical model of oxygen distribution in engineered cardiac tissue with parallel channel array perfused with culture medium containing oxygen carriers, AJP: Heart & Circulatory Physio., 288: H1278-H1289, 2005. Levenberg, S., Burdick, J.A., Kraehenbuehl, T. and Langer, R., Neurotrophin induced differentiation of human embryonic stem cells on three-dimensional polymeric scaffolds, Tissue Engineering, 11: 506-512, 2005. Lendlein, A., Jiang, H., Junger, O. and Langer, R., Light-induced shape memory polymers, Nature, 434: 879-882, 2005. Stevens, M., Mayer, M., Weibel, D., Anderson, D., Whitesides, G. and Langer, R., Direct patterning of mammalian cells onto porous tissue engineering substrates using agarose stamps, Biomaterials, 26: 7636-7641, 2005. Langer, R., Outlook on health care and life science strategies, Greenwich Roundtable Quarterly, 2: 29-34, 2005. Levenberg, S., Rouwkema, J., Macdonald, M., Garfein, E., Kohane, D., Darland, D., Marini, R., Mulligan, R., DAmore, P. and Langer, R., Engineering vascularized skeletal muscle tissue, Nature Biotech., 23: 879-884, 2005. Little, S., Lynn, D., Puram, S. and Langer, R., Formulation and characterization of poly-b amino ester microparticles for genetic vaccine delivery, Journal of Controlled Release, 107: 449-462, 2005. Stevens, M., Marini, R, Schaefer, D, Aronson, J., Langer, R. and Shastri, V., In vivo engineering of organs: The bone bioreactor, Proceedings of the National Academies of Science, 102: 11450-11455, 2005. Yeo Y., Bellas E., Firestone, W., Langer, R and Kohane D.S., Complex coacervates for thermally sensitive controlled release of flavor compounds, Journal of Agricultural and Food Chemistry, 53: 7518-7525, 2005. Mahmood, T., Riesle, J., Shastri, V., Van Blitterswijk, C. and Langer, R., Tissue engineering of bovine articular cartilage within porous poly(ether ester) co-polymer scaffols with different structures, Tissue Engineering, 11: 1244-1253, 2005. Khademhosseini, A, Yeh, J., Eng, G., Karp, J., Kaji, H., Borenstein, J., Farokhzad, O. and Langer, R., Cell docking inside microwells within reversibly sealed microfluidic channels for fabricating multiphenotype cell arrays, Lab on a Chip, 5: 1380-1386, 2005. Warfvinge, K., Kiilgaard, J., Lavik, E., Scherfig, E., Langer,R., Klassen, H. and Young, M., Retinal progenitor cell xenografts to the pig retina, Arch Opthalmol, 123: 1385-1393, 2005. Khademhoseini et al., Cell docking inside microwells within reversibly sealed microfluidic channels for fabricating multiphenotype cell arrays, Lab on a Chip, 12: 1380-1386, 2005. Tweedie, C.A, Anderson, D.G., Langer, R. and Van Vliet, K.J., Combinatorial material mechanics: High-throughput polymer synthesis and nanomechanical screening, Advanced Materials, 12: 2599-2604, 2005. Bettinger, C.J., Weinberg, E.J., Kulig, K.M., Vacanti, P., Wang, Y., Borenstein, J. and Langer, R., Three-dimensional microfluidic tissue-engineering scaffolds using a flexible biodegradable polymer, Advanced Materials, D01: 10.1002/adma.200500438. Langer, R., Transdermal drug delivery: Past progress, current status and future prospects, Adv. Drug Del. Rev., 56: 557-558, 2004. Suh, K.Y., Seong, J., Khademhosseini, A., Laibinis, P. and Langer, R., A simple soft lithographic route to fabrication of poly(ethyleneglycol) microstructures for protein and cell patterning, Biomaterials, 25: 557-563, 2004. Prausnitz M., Mitragotri S., Langer R., Current status and future potential of transdermal drug delivery, Nature Reviews Drug Discovery, 3: 115-124, 2004. Stevens, M., Qanadilo, H., Langer, R., and Shastri, V., A rapid-curing alginate gel system: utility in periosteum-derived cartilage tissue engineering, Biomaterials, 25: 887-894, 2004. Pouliot, R., Azhari, R., Qanadilo, H.F., Mahmood, T., Triantafyllou, S. and Langer R., Tissue engineering of fish skin: Behavior of fish cells on PEGT/PBT copolymers in relation to the composition of the polymer substrate as an initial step in constructing a robotic/living tissue hybrid, Tissue Engineering, 10: 7-21, 2004. Shastri, V.P., Padera, R.F., Tarcha, P.J. and Langer, R., A preliminary report on the biocompatibility of OrthoCure photopolymerization anhydride networks, Biomaterials, 25: 715-721, 2004. Grayson, A., R., Johnson, A., Flynn, N., Li, Y., Cima, M., Langer, R., A bioMEMS review: MEMS technology for physiologically integrated devices, Proceedings of the IEEE, 92: 6-21, 2004. Radisic, M., Yang, M., Boublik, J., Cohen, R., Langer, R., Freed, L., Vunjak-Novakovic, G., Medium perfusion enables engineering of compact and contractile cardiac tissue, Am. J. Physiol. Heart Cir Physiol, 286: H507-H516, 2004. Meinel, L., Kareourgiou, V., Fajardo, R., Snyder, B., Shinde-Patil, V., Zichner, L., Kaplan, D., Langer, R. and Vunjak-Novakovic, G., Bone tissue engineering using human mesenchymal stem cells: Effects of scaffold material and medium flow, Annals of Biomed. Eng., 32: 112-122, 2004. Colombo, G., Langer, R. and Kohane, D.S., Effect of excipient composition on the biocompatibility of bupivacaine-containing microparticles at the sciatic nerve, Journal of Biomed. Mats. Rsch., 68A: 651-659, 2004. Peppas, N. and Langer, R., Origins and development of biomedical engineering within chemical engineering, AIChE J., 50: 536-546, 2004. Stevens, M., Flynn, N., Wang, C., Tirrell, D. and Langer, R., Coiled-coil peptide based assembly of gold nanoparticles, Adv. Materials, 16: 915-918, 2004. Radisic, M., Park, H., Shing, H., Consi, T., Schoen, F., Langer, R., Freed, L., Vunjak-Novakovic, G., Functional assembly of engineered myocardium by electrical stimulation of cardiac myocytes cultured on scaffolds, Proceedings of the National Academy of Sciences, 101: 18129-18134, 2004. Little, S.R., Lynn, D.A., Ge, Q., Anderson, D.G., Puram, S., Chen, J., Eisen, H.N., Langer, R., Poly-b amino ester containing microparticles enhance the activity of non-viral genetic vaccines, Proceedings of the National Academy of Sciences, 101: 9534-9539, 2004. Burdick, J., Khademhosseini, A. and Langer, R., Fabrication of gradient hydrogels using a microfluidics/ photopolymerization process, Langmuir, 20: 5153-5156, 2004. Jia, X., Burdick, J., Kobler, J., Clifton, R., Rosowski, J., Zeitels, S and Langer, R., Synthesis and characterization of in Situ crosslinkable hyaluronic acid-based hydrogels with potential application for vocal fold regeneration, Macromolecules, 37: 3239-3248, 2004. Khademhosseini, A., Jon, S., Suh, K.Y., Tran, T., Eng, G., Yeh, J., Seong, J. and Langer, R., Direct patterning of protein- and cell-resistant polymeric monolayers and microstructures, Advanced Materials, 15: 1995-2000, 2004. Suh, K.Y., Khademhosseini, A., Yang, J.M., Eng, G. and Langer, R., Soft lithographic patterning of hyaluronic acid on hydrophilic substrates using molding and printing, Advanced Materials, 16: 584-588, 2004. Wang, C., Ge, Q., Ting, D., Nguyen, D., Shen, H., Chen, J., Eisen, H., Heller, J., Langer, R. and Putnam, D., Molecularly engineered poly(ortho ester) microspheres for enhanced delivery of DNA vaccines, Nature Materials, 3: 190-196, 2004. Langer, R. and Tirrell, D., Designing materials for biology and medicine, Nature, 428: 487-492, 2004. Qi, Y., Zhao, G., Liu, D., Shriver, Z., Sundaram, M., Sengupta, S., Venkataraman, G., Langer, R. and Sasisekharan, R., Delivery of therapeutic levels of heparin and low-molecular-weight heparin through a pulmonary route, Proceedings of the National Academy of Sciences, 101:9867-9872, 2004. Suh, K., Khademhosseini, A., Eng, G. and Langer, R., Single nanocrystal arrays on patterned poly(ethylene glycol) copolymer microstructures using selective wetting and drying, Langmuir, 20: 6080-6084, 2004. Khademhosseini, A., Suh, K.Y., Yang, J.M., Eng, G., Yeh, J., Levenberg, S. and Langer, R., Layer-by-layer deposition of hyaluronic acid and poly-L-lysine for patterned cell co-cultures, Biomaterials, 25: 3583-3592, 2004. Thomas, T., Kohane, D., Wang, A. and Langer, R., Microparticulate formulations for the controlled release of interleukin-2, J. of Pharm. Sci., 93: 1100-1109, 2004. Anderson, D.G., Levenberg, S. and Langer, R., Nanoliter-scale synthesis of arrayed biomaterials and application to human embryonic stem cells, Nature Biotechnology, 22: 863 – 866, 2004. Farokhzad, O., Jon, S., Khademhosseini, A., Tran, T., LaVan, D. and Langer, R., Nanoparticle-aptamer bioconjugates: A new approach for targeting prostate cancer cells, Cancer Research, 64: 7668-7672, 2004. Jia, X., Colombo, G., Padera, R., Langer, R. and Kohane, D.S., Prolongation of sciatic nerve blockade by in situ crosslinked hyaluronic acid, Biomaterials, 25: 4797-4804, 2004. Grayson, A., Cima, M. and Langer, R., Molecular release from a polymeric microreservoir device: Influence of chemistry, polymer swelling, and loading on device performance, J. Biomed. Mat. Rsch, 69: 502-512, 2004. Yue, I., Poff, J., Cortes, M.E., Sinisterra, R., Faris, C.B., Hildgen, P., Langer, R. and Shastri, R., A novel polymeric chlorhexidine delivery device for the treatment of periodontal disease, Biomaterials, 25: 3743-3750, 2004. Berry, D., Lynn, D.M., Sasisekharan, R. and Langer, R., Internalized heparin using poly(b-amino ester)s promote cellular uptake of heparin and cancer cell death, Chemistry & Biology, 11: 487-798, 2004. Chen, P.C., Park, Y.J., Chang, L.C., Kohane, D.S., Bartlett, R.H., Langer, R. and Yang, V.C., Injectable microparticle-gel system for prolonged and localized lidocaine release. I: In vitro characterization, Journal of Biomedical Materials Research, 412-419, 2004. Lavik, E. and Langer, R., Tissue engineering: Current state and perspectives, Applied Microbiol & Biotech., 65: 1-8, 2004. Voskerician, G., Shawgo, R.S., Hiltner, A.P., Anderson, J.M., Cima, M.J. and Langer, R., In vivo inflammatory and wound healing effects of gold electrode voltammetry for MEMS micro-reservoir drug delivery device, IEEE Trans. Biomed. Eng., 51: 627-635, 2004. Kushner, J., Blankschtein, D. and Langer, R., Experimental demonstration of the existence of highly permeable localized transport regions in low-frequency sonophoresis, J. Pharm. Sci, 93: 2733-2745, 2004. Chau, Y., Tan, F. and Langer, R., Synthesis and characterization of dextran-peptide-methotrexate conjugates for tumor targeting via mediation by matrix-metalloproteinase II and matrix-metalloproteinase IX, Bioconjug. Chemistry, 15: 931-941, 2004. Wang, C., Flynn, N. and Langer, R., Controlled structure and properties of thermoresponsive nanoparticle-hydrogel composites, Adv. Materials, 16: 1074-1079, 2004. Langer, R., Improving drug delivery, The Scientist, 18: 44-45, 2004. Khademhosseini, A. Yeh, J., Jon, S., Eng, G., Suh, K., Burdick, A. and Langer, R, Molded polyethylene glycol microstructures for capturing cells within microﬂuidic channels, Lab on a Chip, 4: 425-430, 2004. Chen, P.C., Kohane, D.S., Park, Y.J., Bartlett, R.H., Langer, R. and Yang, V.C., Injectable microparticle-gel system for prolonged and localized lidocaine release. II: In vivo anesthetic effects, J. Biomed. Mat. Rsch, 70: 459-466, 2004. Anderson, D., Burdick, J. and Langer, R., Smart biomaterials, Science, 305: 1923-1924, 2004. Levenberg, S. and Langer, R., Advances in Tissue Engineering, in Current Topics in Developmental Biology., 2004, 61: 113-134, G.P. Schatten, eds., Elsevier Academic Press. Ijima, H., Wang, Y. and Langer, R., Spheroid formation and expression of liver specific functions of primary rat hepatocytes co-cultured with bone marrow cells, Biochem. Eng. Journal, 20: 223-228, 2004. Khademhosseini, A., Suh, K.Y., Jon, S., Eng, G., Yeh, J., Chen, G.J. and Langer, R., A soft lithographic approach to fabricate patterned microfluidic channels, Analytical Chemistr, 76: 3675-3681, 2004. Stevens, M., Qanadilo, H., Langer, R., Martin, I. and Shastri, V.P., FGF-2 in combination with TGF-b1 enhances periosteum derived chondrogenesis in vitro, J. Orthop. Res., 22: 1114-1119, 2004. Meinel, L., Kareourgiou, V., Hofmann, S., Fajardo, R., Snyder, B., Li, C., Zichner, L., Langer, R., Vunjak-Novakovic, G. and Kaplan, D., Engineering bone-like tissue using human bone marrow stromal cells in 3D silk scaffolds, J. Biomed. Mat. Res., 71: 25-34, 2004. Stevens, M., Marini, R., Martin, I., Langer, R. and Shastri, V., FGF-2 enhances TGF-beta1-induced periosteal chondrogenesis, J. of Orthopaedic Rsch., 22: 1114-1119, 2004. Suh, K-Y., Khademhosseini, A., Yoo, P.J. and Langer, R., Patterning and separating infected bacteria using host parasite and virus antibody interactions, Biomedical Mircodevices, 6: 223-229, 2004. Seidel, J., Pei, M., Gray, M.L., Langer, R., Freed, L. and Vunjak-Novakovic, G., Long term culture of tissue engineered cartilage in a perfused chamber with mechanical stimulation, Biorheology, 41: 445-458, 2004. Grayson, A., Voskerician, G., Lynn, A., Anderson, J., Cima, M. and Langer R., Differential degradation rates in vivo and in vitro of biocompatibile poly(lactic acid) and poly(glycolic acid) homo- and co-polymers for a polymeric drug-delivery microchip, J of Biomat. Science, 15: 1281-1304, 2004. Marini, R., Stevens, M., Langer, R. and Shastri, V.P., Hydraulic elevation of the periosteum: A novel technique for periosteal harvest, J. Invest. Surg., 17: 229-233, 2004. Anderson, D.G., Peng, W., Akinc, A., Hossain, N., Kohn, A., Padera, R., Langer, R and Sawicki, J.A., A polymer library approach to suicide gene therapy for cancer, Proceedings of the National Academy of Sciences, 101: 16028-16033, 2004. Haining, W.N., Anderson, D. G., Little, S.R., von Bergwelt-Baildon, M., Cardoso, P.A., Alves, P., Kosmatopoulos, K., Nadler, L., Langer, R. and Kohane, D.S., pH-triggered microparticles for peptide vaccination, Journal of Immunology, 173: 2578 – 2585, 2004. Shawgo, R., Voskerician, G., Duc, H.L.H., Li, Y., Lynn, A., McEwan, M., Langer, R., Anderson, J. and Cima, M., Repeated in vivo electrochemical activation and the biological effects of microelectromechanical system drug delivery devices, J. of Biomed. Mats. Rsch., 71A: 559-568, 2004. Meinel, L., Kaplan, D., Langer, R, Karageorgious, V, Zichner, L. and Vunjak-Novakovic, G., Engineering cartilage-like tissue using human mesenchymal stem cells and silk protein scaffolds, Biotechnology and Bioengineering, 88: 379-391, 2004. Grovender, E., Kellogg, B., Singh, J., Blom, D., Ploegh, H., Wittrup, K.D., Langer, R. and Ameer, G., Single chain antibody fragment based adsorbent for the extracorporeal removal of b2-microglobulin, Kidney International, 65: 310-322, 2004. Li, Y., Shawgo, R., Tyler, B., Henderson, P.T., Vogel, J.S., Rosenberg, A., Storm, P.B., Langer, R., Brem, H. and Cima, M.J., In vivo release from a drug delivery MEMS device, Journal of Controlled Release, 100: 211-219, 2004. Mahmood, T. and Langer, R., Adhesion-mediated signal transduction in human articular chondrocytes: The influence of biomaterial chemistry and tenascin-C, Experimental Cell Research, 301: 179-188, 2004. Domb, A., Teomim, D., Golenser, J., Langer, R., Israel, Z., “Biodegradable polyanhydrides”, in Biodegradable Polymers, ed. R. Arshady, p. 145-146, 2004, Citrus Books, London, UK. Jaffar, S., Nam, K.T., Khademhosseini, A., Xing, J., Langer, R., Belcher, A., Layer-by-layer surface modification and patterned electrostatic deposition of quantum dots, Nano Letters, 4: 1421-1425, 2004. Lahann, J., Mitragotri, S., Tran, T., Kaido, H., Sundaran, J., Hoffer, S., Somorjai, G. A. and Langer, R. “Reversible switching of surfaces”, Science; 299: 371-374, 2003. Lee, P., Langer, R., Shastri, V. ” Novel microemulsion enhancer formulation for simultaneous transdermal delivery of hydrophilic and hydrophobic drugs”, Pharmaceutical Research; 20: 264-269, 2003. Sundaram, M., Qi, Y., Shriver, Z., Liu, D., Zhao, G., Venkataraman, G., Langer, R., Sasiskharan, R. “Rational design of low molecular weight heparins with improved in vivo activity”, PNAS; 100: 651-656, 2003. Langer, R. “Where a pill won’t reach”, Scientific American; 288: 50-57, 2003. Voskerician, G., Shive, M., Shawgo, R., Von Recum, H., Anderson, J., Cima, M., Langer, R. “Biocompatibility and biofouling of MEMS drug delivery device”, Biomaterials; 24: 1959-1967, 2003. LaVan, D., George, P.M, Langer, R. “Simple three-dimensional microfabrication of electrodeposited structures”, Angewandte Chemie; 42: 1262-1265, 2003. Yu, B., Kim, K.H., So, P.T.C., Blankschtein, D., Langer, R. “Visualization of oleic acid-induced transdermal diffusion pathways using two-photon fluorescence microscopy.”, Journal of Invest. Derm. ; 120: 448-455, 2003. Fu, K., Harrell, R., Zinski, K., Um, C., Frazier, J., Lotan, N., Burke, P., Klibanov, A., Langer, R. “A potential approach for decreasing the burst effect of protein from PLGA microspheres”, Journal of Pharm. Sci. ; 92: 1582-1591, 2003. Nashat, A. and Langer, R. “Temporal characteristics of activation, deactivation and restimulation of signal transduction following depolarization in the pheochromocytoma cell line PC12”, Molec. & Cell. Biol. ; 23: 4788-4795, 2003. Baroli, B., Shastri, V.P., Langer, R. “A method to protect sensitive molecules from a light-induced polymerizing environment”, Journal of Pharm. Sci. ; 92: 1186-1195, 2003. Kohane, D.S., Smith, S.E., Louis, D.N., Colombo, G., Ghoroghchian, P., Hunfeld, N.G.M., Berde, C.B. and Langer, R. “Prolonged duration local anesthesia from tetrodotoxin-enhanced localanesthetic microspheres”, Pain; 104: 415-421, 2003. Akinc, A., Lynn, D., Anderson, D. and Langer, R. “Parallel synthesis and biophysical characterization of a degradable polymer library for gene delivery”, J. Am. Chem. Soc. ; 125: 5316-5323, 2003. Anderson, D.G., Lynn, D.M., Langer, R. “Semi-automated synthesis and screening of a large library of degradable cationic polymers for gene delivery”, Angewandte Chemie; 42: 3153-3158, 2003. Radisic, M., Euloth, M., Yang, L., Langer, R., Freed, L., Vunjak-Novakovic, G. “High density seeding of myocyte cells for tissue engineering”, Biotechnology & Bioengineering; 82: 403-414, 2003. Wang, Y., Kim, Y., Langer, R. “In vivo degradation characteristics of poly(glycerol sebacate)”, Journal of Biomedical Materials Research; 66A: 192-197, 2003. Shastri, V., Hildgen, P., Langer, R. “In situ pore formation by differential polymer degradation”, Biomaterials; 24: 3133-3137, 2003. Valente, A., Langer, R., Stone, H., Edwards, D.A. “Recent advances in the evelopment of an inhaled insulin product”, BioDrugs; 17: 9-17, 2003. Putnam, D., Zelikin, A., Izumrudov, V.A. and Langer, R. “Polyhistidine-PEG: DNA nanocomposites for gene delivery”, Biomaterials; 24: 4425-4433, 2003. Levenberg, S., Huang, N.F., Lavik, E., Rogers, A.B., Itskovitz-Eldor, J., Langer, R. ” Differentiation of human embryonic stem cells on three-dimensional polymer scaffolds”, PNAS; 100: 12741-12746, 2003. Grayson, A., Choi, I., Tyler, B., Wang, P., Brem, H., Cima, M.J. and Langer, R. ” Multi-pulse drug delivery from a resorbable polymeric microchip device”, Nature Materials; 2: 767-772, 2003. Kohane, D.S., Anderson, D.G., Yu, C. and Langer, R. “pH-triggered release of macromolecules from spray-dried polymethacrylate microparticles”, Pharm. Research; 20: 1533-1538, 2003. Suh, K., Lahann, J. and Langer, R. “Fabrication of elastomeric stamps with polymer-reinforced sidewalls via chemically selective vapor deposition polymerization of poly(p-xylylene)”, App. Phys. Ltrs. ; 83: 4250-4252, 2003. Flynn, N.T., Tran, T., Cima, M. and Langer, R. “Long term stability of self-assembled monolayers in biological media”, Langmuir; 19: 10909-10915, 2003. LaVan, D., McGuire, T. and Langer, R. “Small-scale systems for in vivo drug delivery”, Nature Biotech. ; 21: 1184-1191, 2003. Yu, B., Blankschtein, D., Langer, R. “Evaluation of fluorescent probe surface intensities as an indicator of transdermal permeant distributions using wide-area two-photon fluorescence microscopy”, Journal of Pharm. Sci. ; 92: 2354-2365, 2003. Moses, M., Brem, H., and Langer, R. “Advancing the field of drug delivery: Taking aim at cancer”, Cancer Cell; 4: 337-341, 2003. Jon, S., Anderson, D.G. and Langer, R. “Degradable poly(amino alcohol esters) as potential DNA vectors with low cytotoxicity”, Biomacromolecules; 4: 1759-1762, 2003. Lee, H., Cusick, R., Pollock, J., Utsunomiya, H., Ma, P., Langer, R., Vacanti, J. “Effect of Implantation Site on Hepatocytes Heterotopically Transplanted on Biodegradable Polymer Scaffolds”, Tissue Engineering; 9: 1227-1232, 2003. Akinc, A., Anderson, D.G., Lynn, D.M., Langer, R. “Synthesis of poly(ß-amino esters) optimized for highly effective gene delivery”, Bioconj. Chem. ; 14: 979-988, 2003. Langer, R. and Peppas, N. “Advances in Biomaterials, Drug Delivery, and Bionanotechnology”, AIChE Journal; 49: 2990-3006, 2003. Brant, M. “Sci-Fi War Uniforms?”, Newsweek, U.S. Edition; P E2-E4, February 24, 2003. Berhm, D. “Technology Licensing Office has terrific year, “super Week”, MIT TechTalk; March 19, 2003. Schwartz, P. “Speakers cite promise of biotech field”, The Daily Gazette, NY; P B9, April 4, 2003. Aoki, N. “The Crusader”, The Boston Globe Magazine; P 12, May 25, 2003. Weston, H. “Changing the World”, The Boston Globe Magazine; P 4 , June 29th, 2003. McManus, R. “MIT’s Langer Offers “Blue Sky” view of Biomaterial Potential”, National Institute of Health; LV-15: 1, 6, 2003. Thomson, E. “Stem cells “seeded” on polymer scaffold”, MIT TechTalk; October 22, 2003. Bourzac, K. “Stem cells grown into tissues”, The Boston Globe ; October 28, 2003. Linda Villarosa “How Much Of the Body Is Replaceable?”, New York Times; Late Edition – Final, SecF, P5, Col 5, November 11, 2003. Henry, C. “Surface Science, Switchable Surface, Monolayer bends on command, reversibly changes properties”, Chemichal & Engineering News; 81 3 p. 6, 2003. Thomson, E. “MIT, California Schools receive $50M grant for Army research”, MIT TechTalk; September 10, 2003. Berhm, D. “Langer wins two prestigious prizes for biomedical advances”, MIT TechTalk; December 3, 2003. Mishra, R. “Prizes Honor Local Scientists”, The Boston Globe; E2, December 2, 2003. Kohane, D., Lipp, M., Kinney, R., Anthony, D., Louis, D., Lotan, N., Langer, R. “Biocompatibility of lipid-protein sugar particles containing bupivacaine in the epineurium”, J. Biomat. Research; 59: 450-459, 2002. LaVan, D., Lynn, D., Langer, R. “Moving smaller in drug delivery and discovery”, Nature Drug Discovery; 1: 77-84, 2002. Carrier, R., Rupnick, M., Langer, R., Schoen, F., Freed, L., Vunjak-Novakovic, G. “Perfusion improves tissue architecture of engineered cardiac muscle”, Tissue Engineering; 8: 175-188, 2002. Zelikin, A., Shastri, V., Lynn, D., Farhadi, J., Martin, I., Langer, R. “Erodible conducting polymers for potential biomedical applications”, Angewandte Chemie, Int. Ed. ; 41: 141-144, 2002. Teng, Y.D., Lavik, E.B., Qu, X., Park, K., Ourednik, J., Zurakowsi, D., Langer, R., Snyder, E.Y. “Functional Recovery Following Traumatic Spinal Cord Injury Mediated by a Unique Polymer Scaffold Seeded with Neural Stem Cells”, Proc. Nat. Acad. Sci; 99: 3024-3029, 2002. Terahara, T., Mitragotri, S., Langer, R. “Porous resins as a cavitation enhancer for low-frequency sonophoresis”, J. Pharm. Sci. ; 91: 753-759, 2002. Terahara, T., Mitragotri, S., Kost, J., Langer, R. “Dependence of Low-frequency Sonophoresis on Ultrasound Parameters; Distance of the Horn, Intensity, and Frequency”, Int. Journal Pharm. 235: 35-42, 2002. Carrier, R., Rupnick, M., Langer, R., Schoen, F., Freed, L., Vunjak-Novakovic, G. “Effects of oxygen on engineered cardiac muscle”, Biotechnology and Bioengineering; 78: 617-625, 2002. Cannizzaro, S. and Langer, R., “Biomaterials: Synthetic and engineering strategies”, Biomimetic materials and design: Biointerfacial Strategies, tissue engineering and targeted drug delivery, Eds: A.K. Dillow and A.M. Lowman, Marcel Dekker, Inc., NY, 251-281, 2002. Blunk, T., Sieminski, A., Gooch, K., Courter, D., Hollander, A., Nahir, A.M., Langer, R., Vunjak-Novakovic, G., Freed, L. “Differential effects of growth factors on tissue-engineered cartilage”, Tissue Engineering; 8: 73-84, 2002. Levenberg, S., Golub, J., Amit, M., Eldor, J., Langer, R. “Endothelial Cells Derived from Human Embryonic Stem Cells”, PNAS; 99: 4391-4396, 2002. Akinc, A., Langer, R. “Measuring the pH environment of DNA delivered using nonviral vectors: Implications for lysosomal trafficking”, Biotechnology and Bioengineering; 78: 503-508, 2002. Lendlein, A. and Langer, R. “Biodegradable, Elastic Thermoplastic Shape Memory Polymers with Adjustable Properties for Potential Biomedical Applications”, Science; 296: 1673 – 1676, 2002. Lahann, J., Langer, R. “Novel Poly(p-xylylenes): Thin Films with Tailored Chemical and Optical Properties”, Macromolecules; Vol:35, 11: 4380-4386, 2002. Wang, Y., Ameer, G.A., Sheppard, B.J., Langer, R. “A Tough Biodegradable Elastomer”, Nature Biotech; 20: 602-606, 2002. Grovender, E., Ameer, G., Cooney, C., Langer, R. “Immunoadsorption Model for a Novel Fluidized-Bed Blood Detoxification Device”, AIChE Journal; 48:2357-2365, 2002. Kohane, D., Plesnila, N., Thomas, S., Le, D., Langer, R., Moskowitz, M. “Lipid-sugar particles for intracranial drug delivery: Safety and biocompatibility”, Brain Research, 946: 206-213, 2002. Katti, D.S., Lakshmi, S., Langer, R., Laurencin, C.T. “Toxicity, biodegradation and elimination of polyanhydrides”, Advanced Drug Delivery; 54: 933-961, 2002. Kumar, N., Langer, R.S., Domb, A.J. “Polyanhydrides: An overview”, Advanced Drug Delivery Reviews; 54: 889-910, 2002. Madry, H., Padera., R., Seidel, J., Langer, Robert, Freed, L.E., Trippel, S.B., Vunjak-Novakovic, G. “Gene transfer of human insulin-like growth factor IcDNA enhances tissue engineering of cartilage”, Human Gene Therapy, 13: 1621-1630, 2002. Yu, B., Kim, K.H., So, P.T.C., Blankschtein, D., Langer, R. “Topographic heterogeneity in transdermal transport revealed by high speed two-photon microscopy: determination of representative skin sample sizes”, J. of Invest. Derm. ; 118: 1085-1088, 2002. Zelikin, A., Putnam, D., Shastri, P., Langer, R., Izumrudov, V. “Aliphatic ionenes as gene delivery agents: elucidation of structure – function relationship through modification of charge density and polymer length”, Bioconj. Chem., 13: 548-553, 2002. Potineni, A., Lynn, D., Langer, R., Amiji, M. “Poly(ethylene oxide)-modified poly(b-amino ester) nanoparticles as a pH-sensitive biodegradable system for paclitaxel delivery”, J. of Controlled Release; 86: 223-234, 2002. Lahann, J. Rodon, T., Balcells, M., Jensen, K., Lee, C.J.Y. and Langer, R. “Reactive Polymer Coatings: A platform for patterning proteins and mammalian cells onto a broad range of materials”, Langmuir; 18: 3632-3638, 2002. Papadaki, M., Mahmood, T., Gupta, P., Classe, M., Grijpma, D., Riesle, J., van Blitterswijk, C., Langer, R. “The Different Behaviors of Skeletal Muscle Cells and Chondrocytes on PEGT/PBT Block Copolymers are Related to the Surface Properties of the Substrate”, Journal of Biomedical Materials Research; 54: 47-58, 2001. Gooch, K.J., Kwon, J.H., Blunk, T., Langer, R., Freed, L.E., Vunjak-Novakovic, G. “Effects of mixing intensity on tissue-engineered cartilage”, Biotech. and Bioeng. ; 72, 4: 402-407, 2001. Putnam, D., Gentry, C., Pack, D., Langer, R. “Polymer-based gene delivery with low cytotoxicity by a unique balance of side chain termini”, PNAS; 98: 3, 1200-1205, 2001. Lendlein, A, Schmidt, A.M., Langer, R. “AB-Polymer networks based on oligio (?-caprolactone) segments showing shape memory properties”, PNAS; 98: 3, 842-847, 2001. Niklason, L., Langer, R. “Prospects for Organ and Tissue Replacements”, J. Am. Med. Assoc. ; 285: 573-576, 2001. Tang, H., Mitragotri, S., Blankschtein, D., Langer, R. “Theoretical description of transdermal transport of hydrophilic permeants: application to low-frequency sonophoresis”, J. Pharm. Sci. ; 90, 543-566, 2001. Martin, I., Shastri, V., Padera, R., Yang, J., Mackay, A., Langer, R., Vunjak-Novakovic, G., Freed, L. “Selective differentiation of mammalian bone marrow stromal cells cultured on three-dimensional polymer foams”, Journal of Biomedical Materials Research; 55: 229-235, 2001. Niklason, L., Abbott, W., Gao, J., Klagges, B., Hirschi, K., Ulubayram, K., Conroy, N., Jones, R., Vasanwala, A., Sanzgiri, S., Langer, R. “Morphologic and mechanical characteristics of engineered bovine arteries”, J. Vasc.Surg. ; 33: 628-638, 2001. Lesniak, M., Langer, R., Brem, H. “Drug delivery to tumors of the central nervous system”, Current Neurology & Neuroscience Reports; 1, 210-216, 2001. Yu, B., Dong, C., So, P.T.C., Blankschtein, D., Langer, R. “In vitro visualization and quantification of oleic acid induced changes in transdermal transport using two-photon fuorescence microscopy”, Journal of Investigative Dermatology; 117 (1): 16, 2001. Ameer, G., Grovender, E., Ploegh, H., Ting, D., Owen, W., Rupnick, M., Langer, R. “A novel immunoadsorption device for removing b2 microglobulin from whole blood.”, Kidney International; 59, 1544-1550, 2001. David M. Lynn, Mansoor M. Amiji, and Robert Langer”pH-Responsive Polymer Microspheres: Rapid Release of Encapsulated Material Within the Range of Intracellular pH”, Angewandte Chemie International Edition; 40, 1707, 2001. Mathiowitz, E., Jacob, J., Jong, Y., Spano, W., Guemonprez, R., Klibanov, A., Langer, R. “Novel desiccants based on polymeric blends”, Journal of Applied Polymer Science; 80, 317-327, 2001. Lavik, E., Hrkach, J., Lotan, N., Nazarov, R., Langer, R. “A Simple Synthetic Route to the Formation of a Block Copolymer of Poly(lactic-co-glycolic acid) and Polylysine for the Fabrication of Functionalized, Degradable Structures for Biomedical Applications”, Journal of Biomedical Materials Research; 58, 291-294, 2001. Lahann, J., Hocker, H., Langer, R. “Synthesis of Amino [2.2]paracyclophanes, Beneficial Monomers for Bioactive Coating of Medical Implant Materials”, Angewandte Chemie International Edition; 40, 726-728, 2001. Hirosue, S., Muller, B., Mulligan R., Langer, R. “Plasmid DNA encapsulation and release from solvent diffusion nanospheres”, Journal of Controlled Release; 70: 231-242, 2001. Lendlein, A, Schmidt, A.M., Langer, R. “AB-Polymer networks based on oligio(e-caprolactone) segments showing shape memory properties”, Proc. Nat. Acad. Sci; 98: 3, 842-847, 2001. Choi, W.S., Krishnamurthy, G.G., Edwards, D.A. Langer, R., Klibanov, A.M. “Inhalation delivery of proteins from ethanol suspensions”, Proc. Nat. Acad. Sci. ; 98: 11103-11107, 2001. Mathiowitz, E., Jacob, J., Jong, Y., Hekal, T., Spano, W., Guemonprez, R., Klibanov, A., Langer, R. “Novel desiccants based on designed polymeric blends”, Journal of Applied Polymer Science; 80, 317-327, 2001. Choi, I., Langer, R. “Surface-Initiated Polymerization of L-Lactide: Coating of Solid Substrates with a Biodegradable Polymer”, Macromolecules; 34: 5361-5363, 2001. Grovendor, E., Cooney, C., Langer, R., Ameer, G. “Modeling the Mixing Behavior of a Novel Fluidized Extracorporeal Immunoadsorber”, Chemical Engineering Science; 56, 5437-5441, 2001. Perez, C., Sanchez, A., Putnam, D., Ting, D., Langer, R., Alonso, M.J. “Poly(lactic acid)-poly(ethylene glycol) nanoparticles as new carriers for the delivery of plasmid DNA”, Journal of Controlled Release; 75: 211-224, 2001. Lahann, J., Choi, I., Lee, J., Jensen, K., Langer, R. “A New Method Toward Microengineered Surfaces Based on Reactive Coating”, Angewandte Chemie; 40: 3166-3169, 2001. Lynn, D., Mansoor, A., Langer, R. “pH-responsive polymer microsphere: Rapid release of encapsulated material within the range of intracellular pH”, Angewandte Chemie; 40: 1707-1710, 2001. Lynn, D., Anderson, D., Putnam, D., Langer, R. “Accelerated discovery of synthetic transfection vectors: Parallel synthesis and screening of a degradable polymer library”, Journal of the American Chemical Society; 123, 8155-8156, 2001. Langer, R. “Perspectives: Drug delivery – drugs on target”, Science; 293:58-59, 2001. Lahann, J. and Langer, R. “Surface-initiated ring opening polymerization of e-Caprolactone from a patterned poly[(hydroxymethyl)-p-xylylene]”, Macromolec. Rapid Comm. ; 22: 968-971, 2001. Lahann, J. and Langer, R. “Microengineered surfaces for biomedical applications based on a polymeric active ester”, Polymer Reprints, 42: 113-114, 2001.